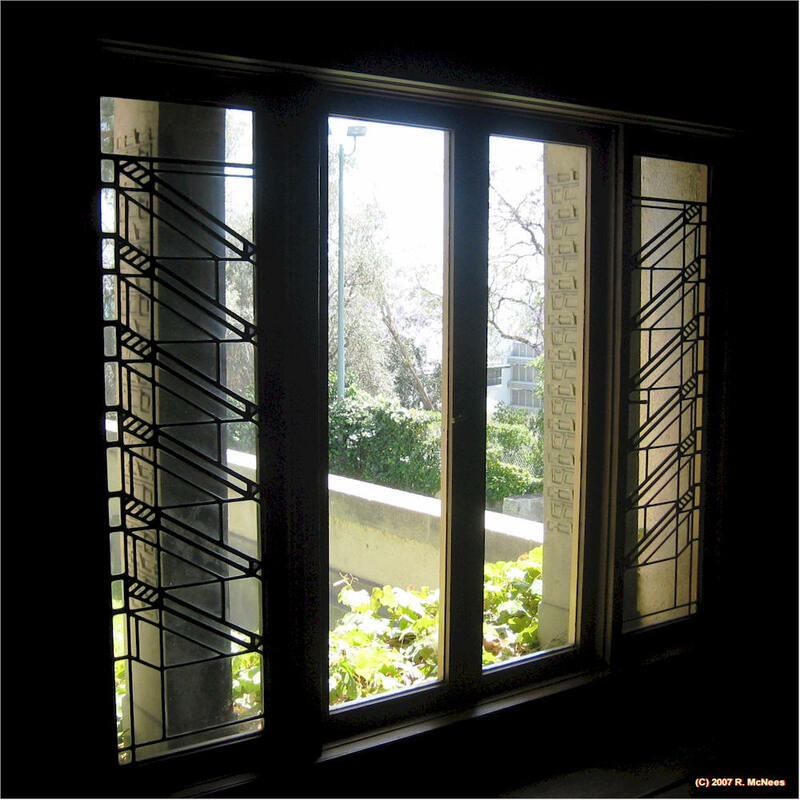 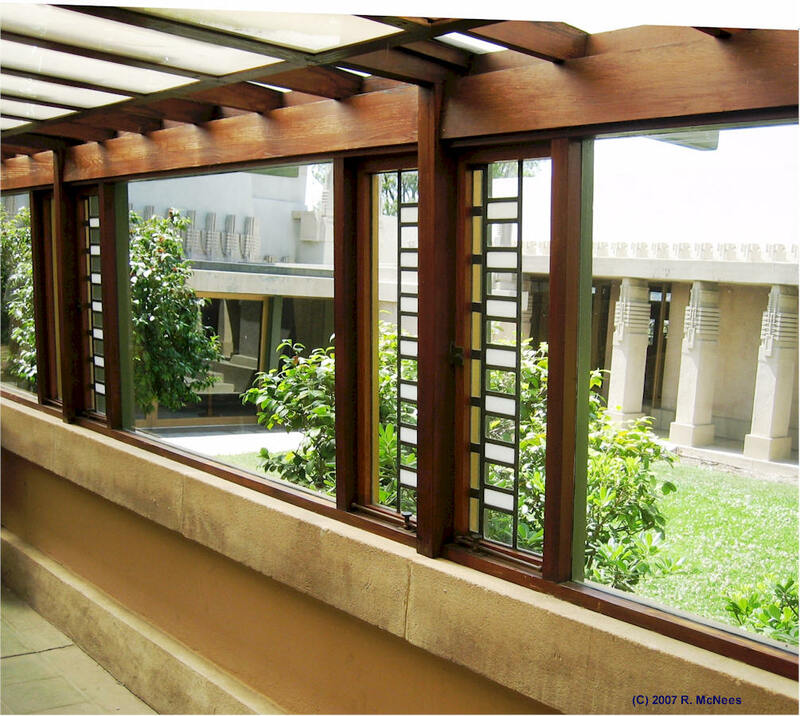 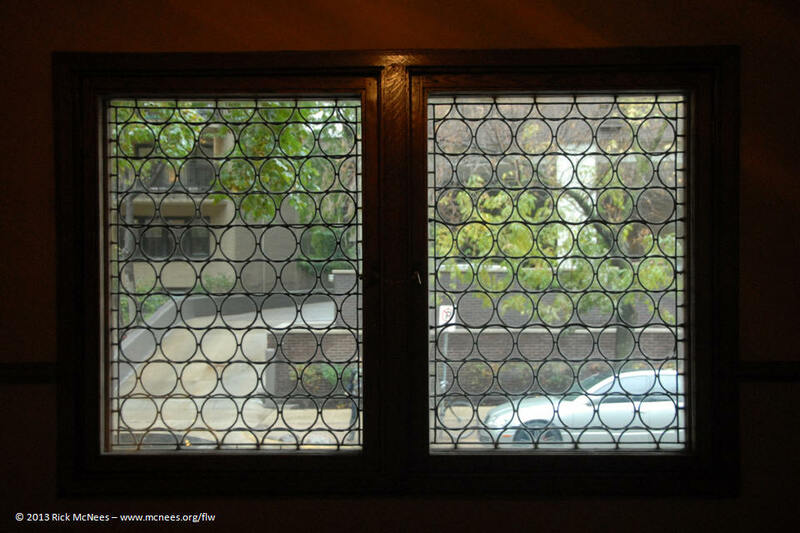 Frank Lloyd Wright created light screens - windows with ornamentation for the diffusion of walls - to let the outside in and the inside out. 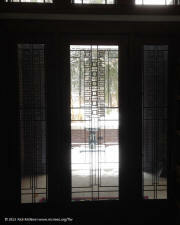 Mixing form with function, they provided beauty as artwork as well as privacy while letting in soft natural diffused light. 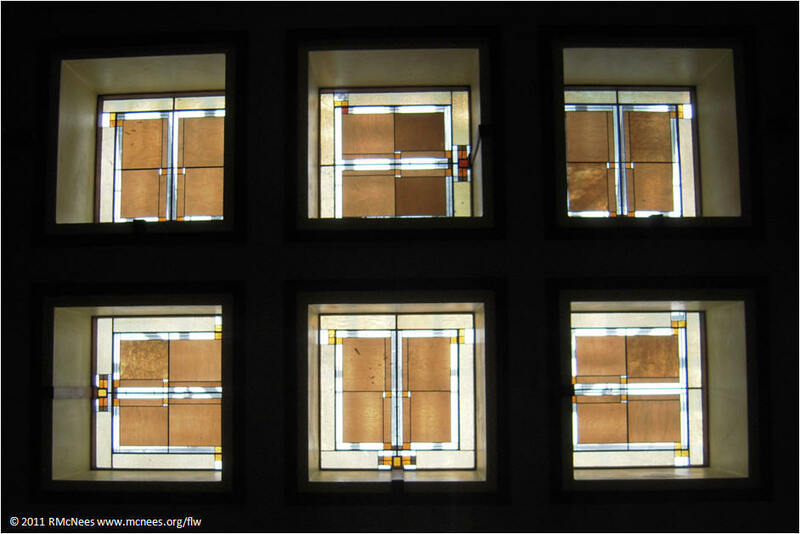 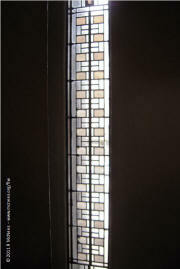 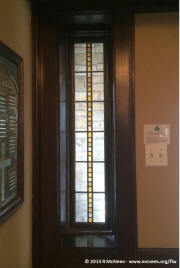 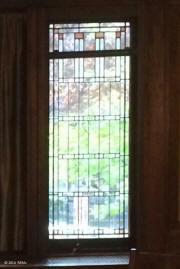 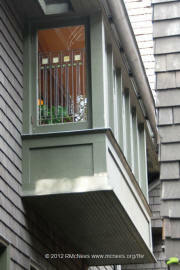 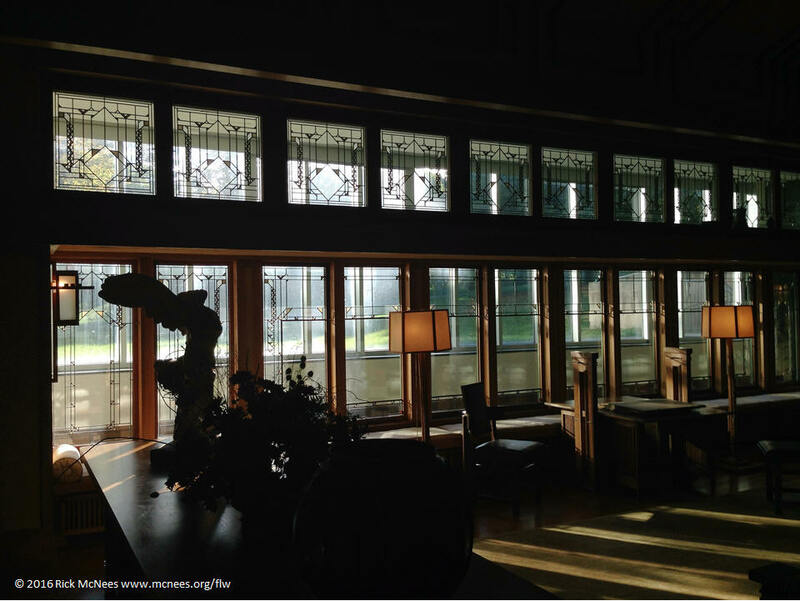 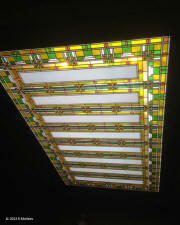 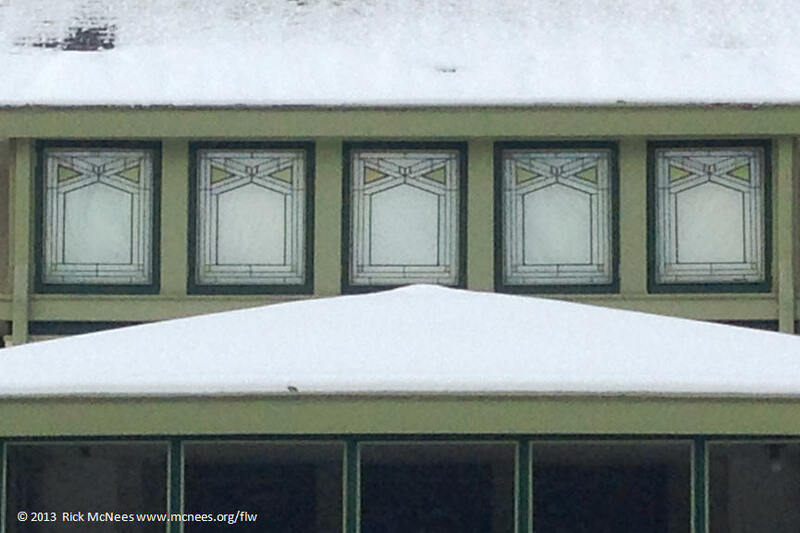 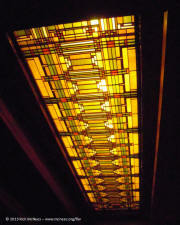 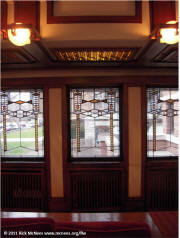 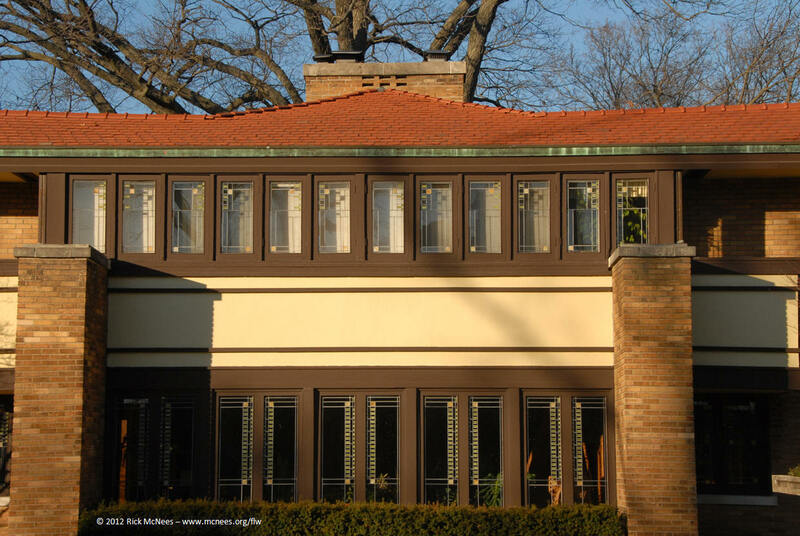 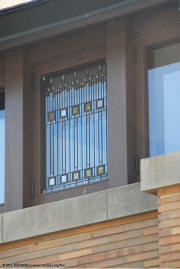 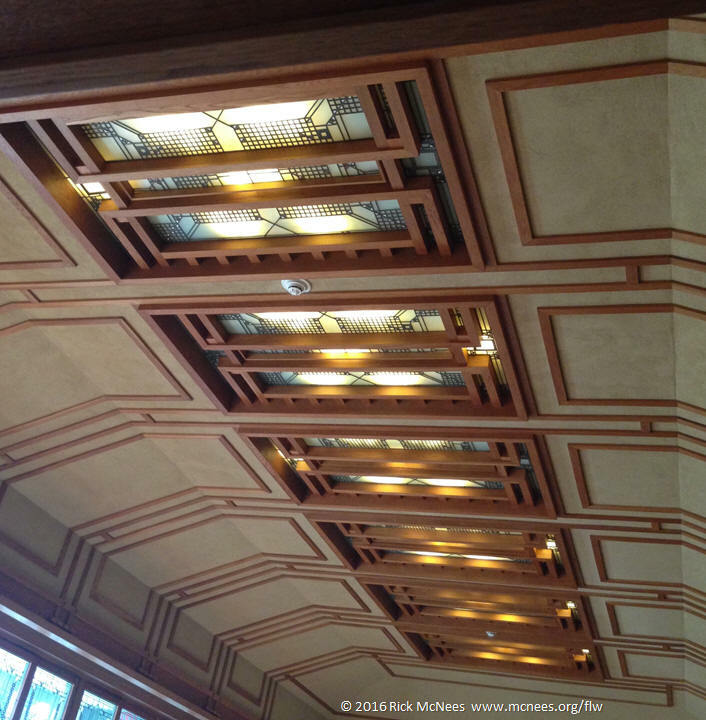 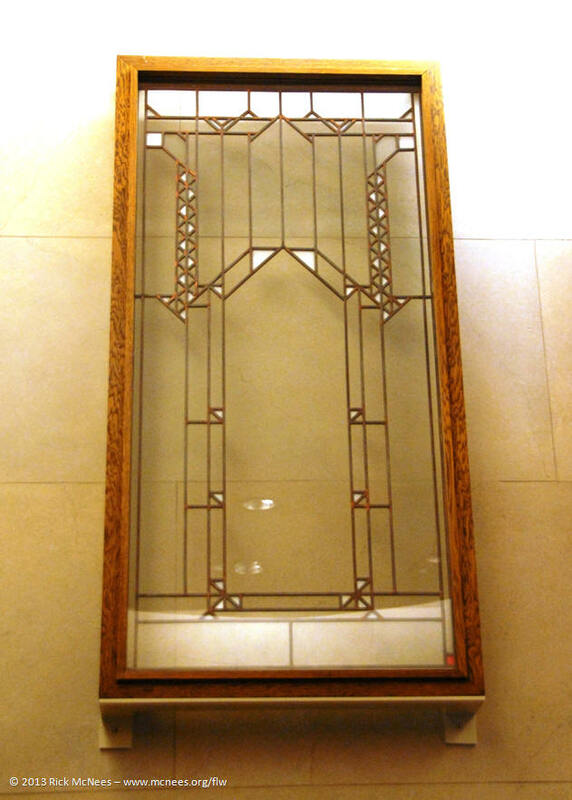 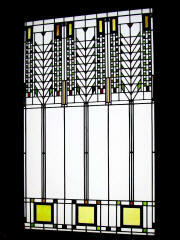 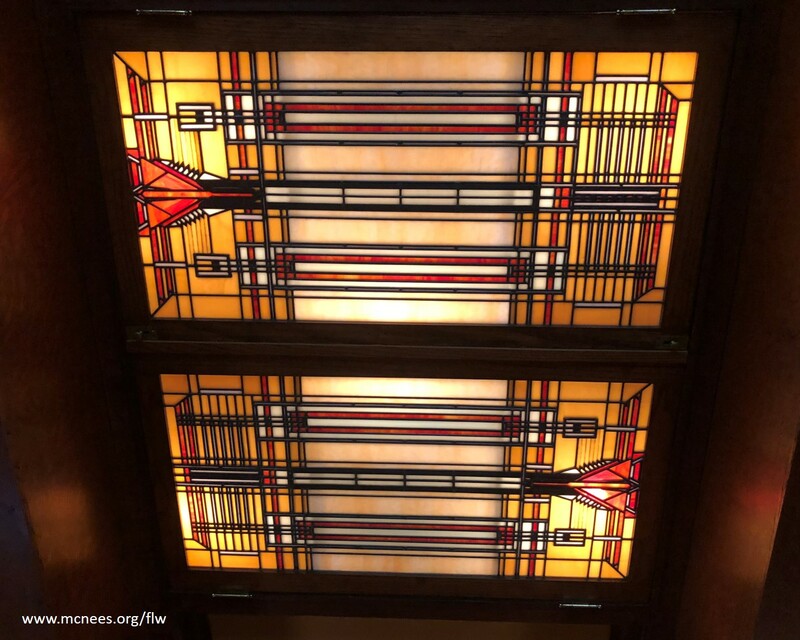 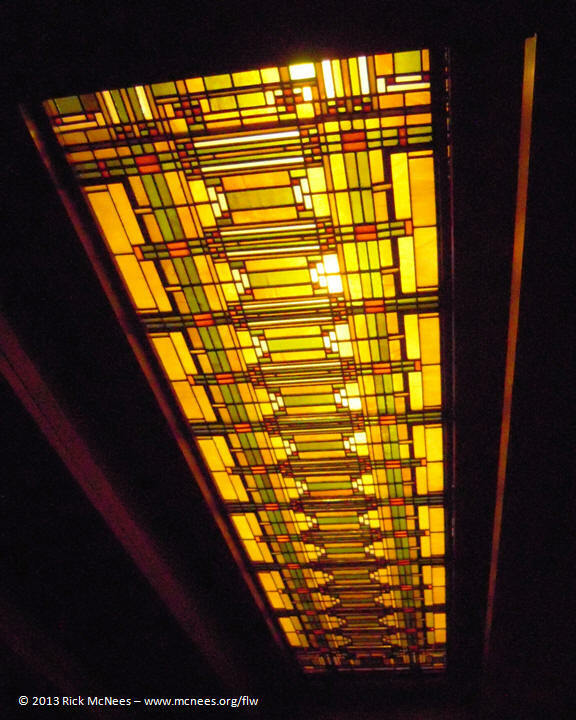 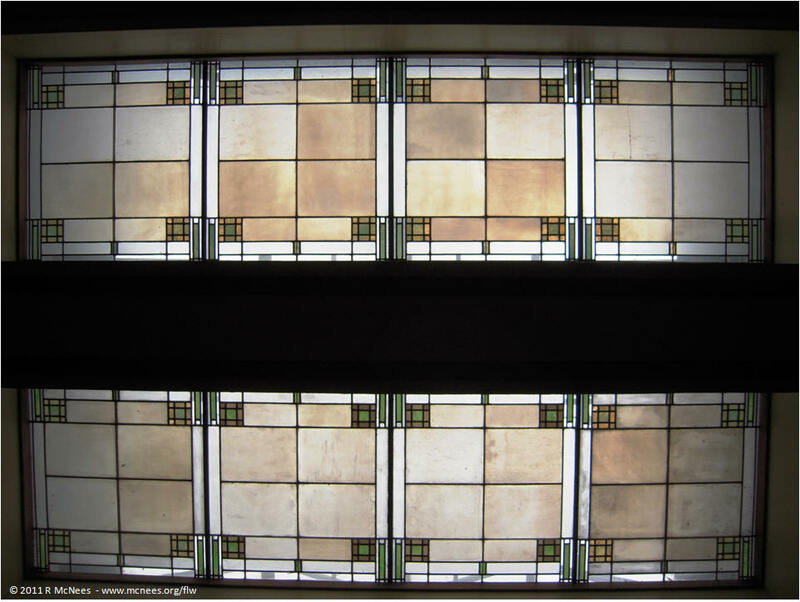 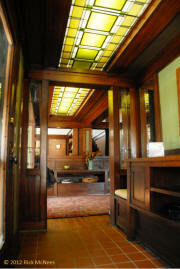 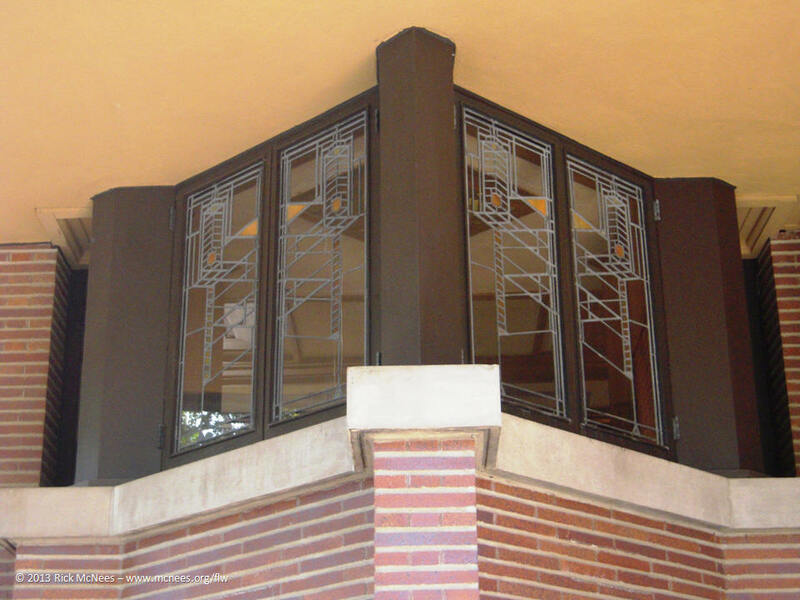 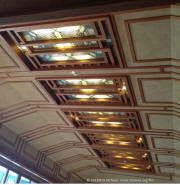 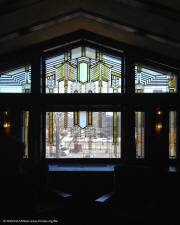 Frank Lloyd Wright designed ornate panels of glass for skylights and windows. 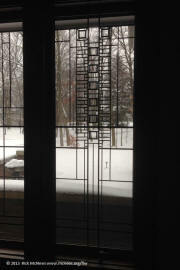 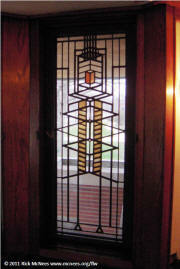 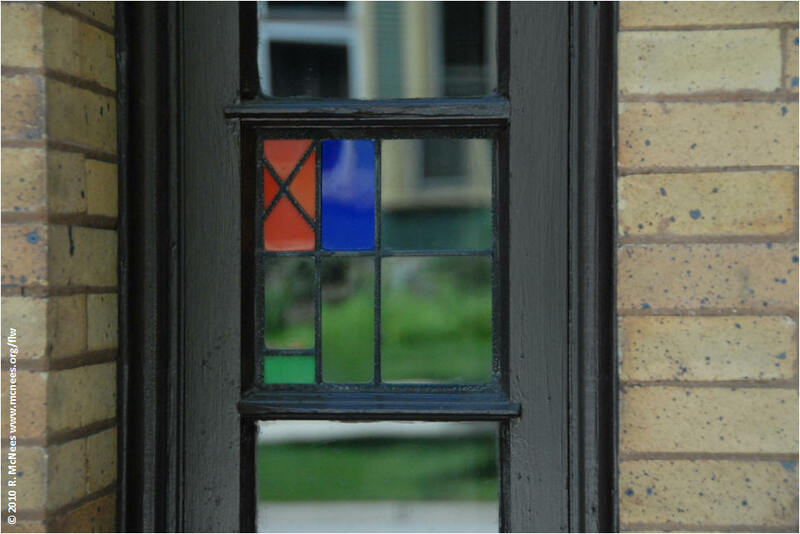 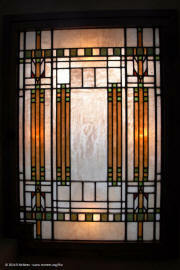 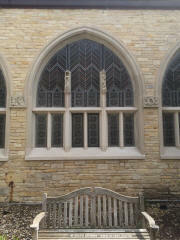 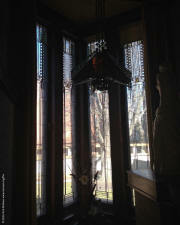 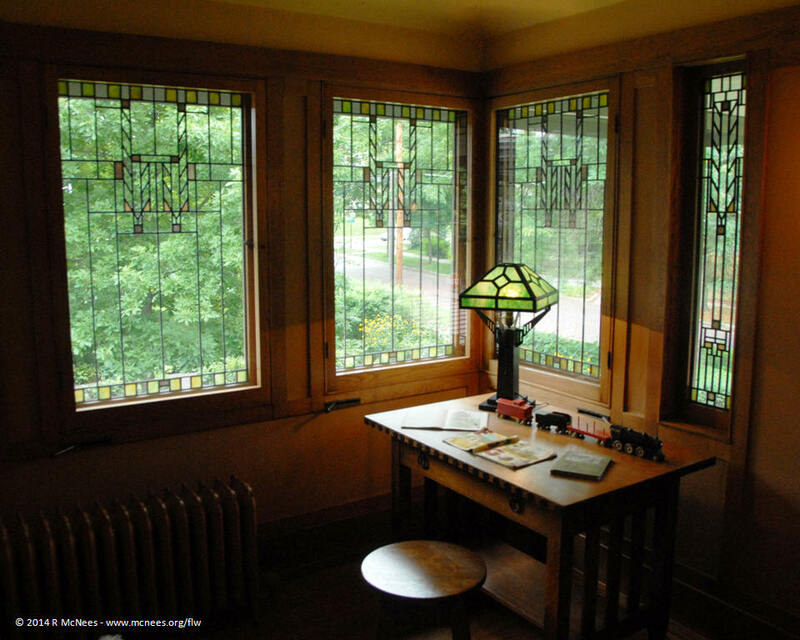 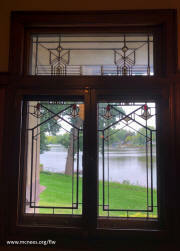 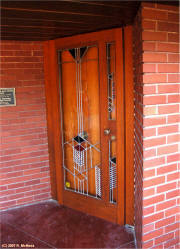 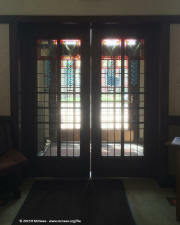 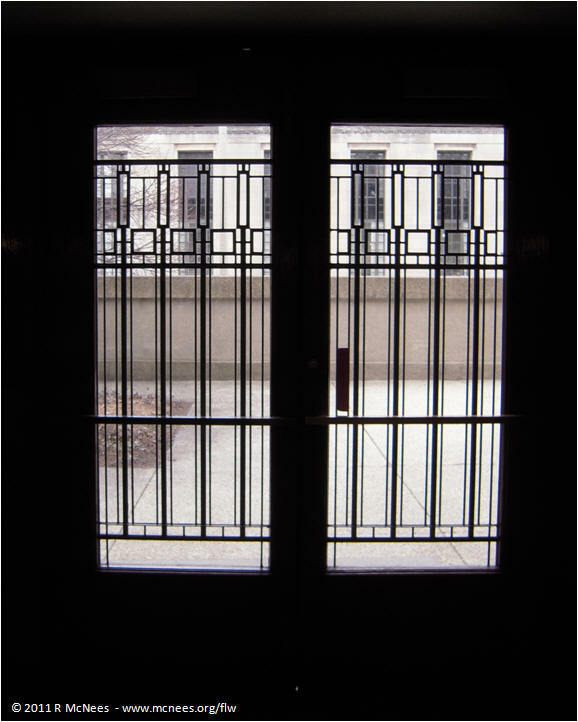 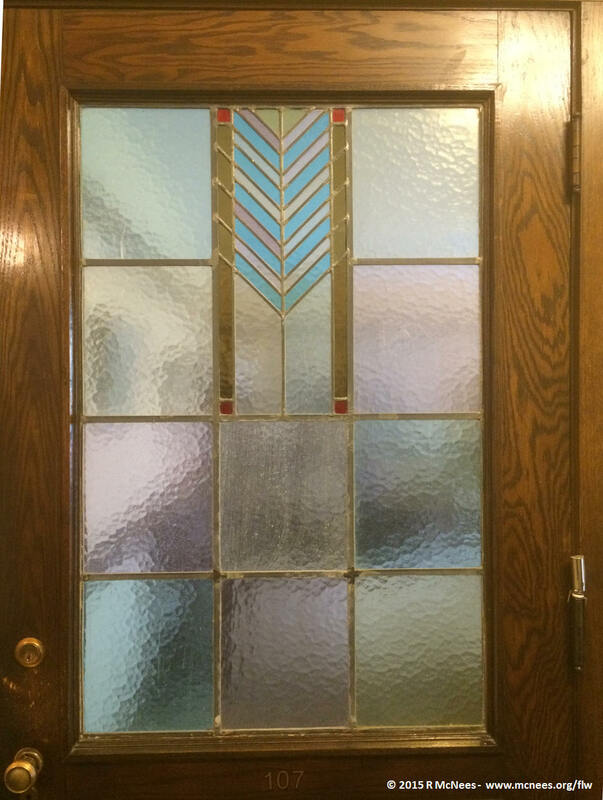 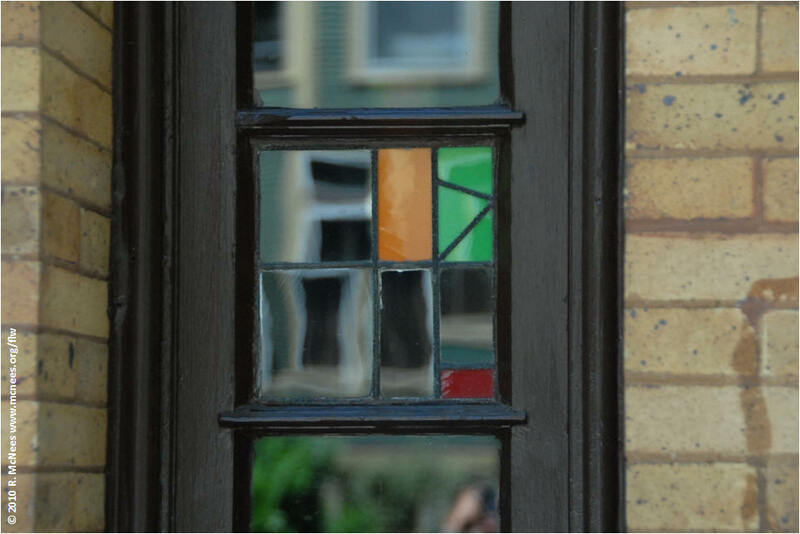 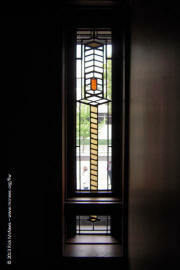 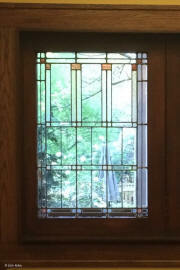 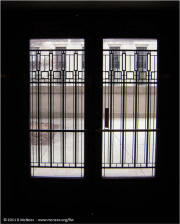 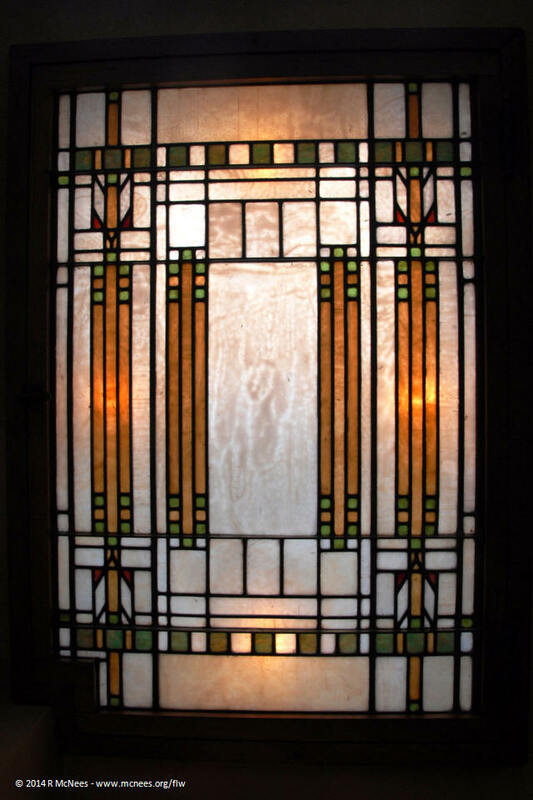 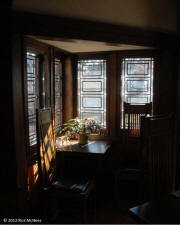 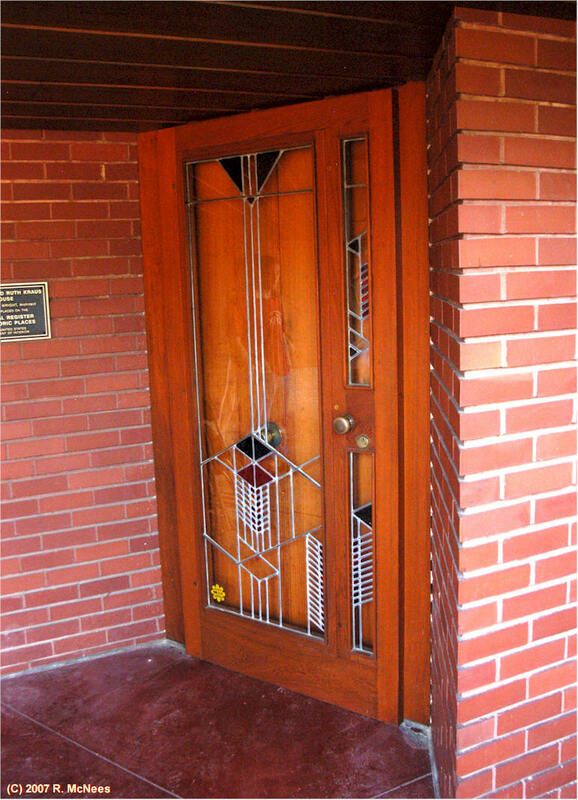 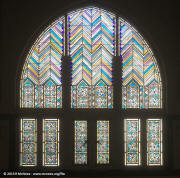 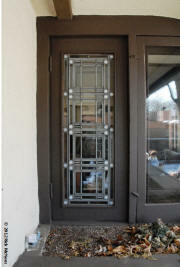 Wright designed over 4,000 leaded glass windows and doors for over 150 of his buildings. 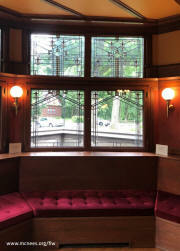 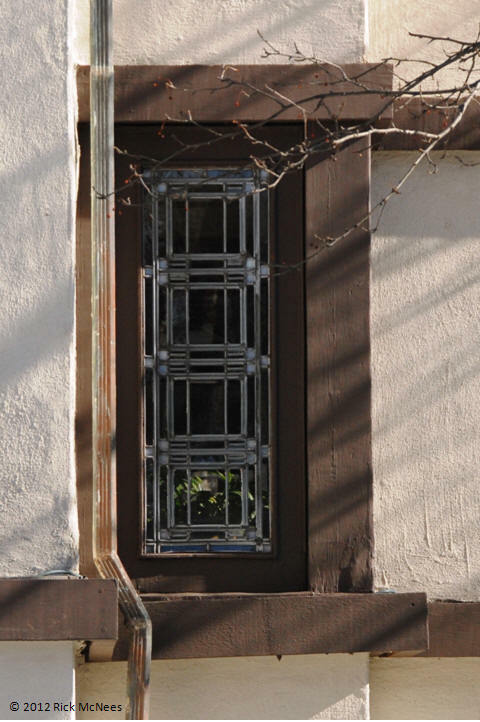 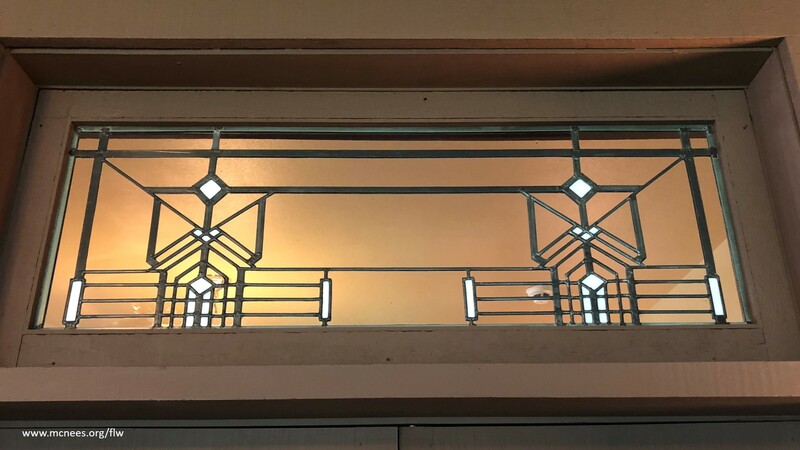 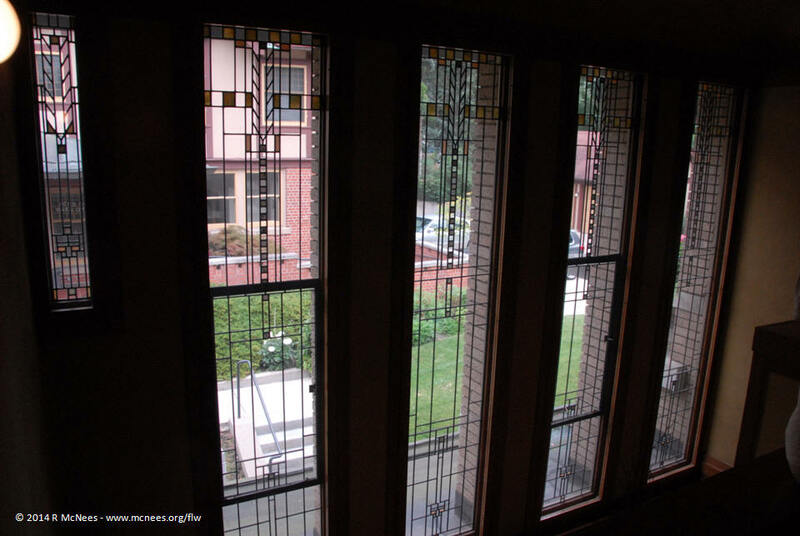 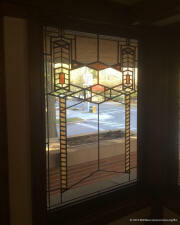 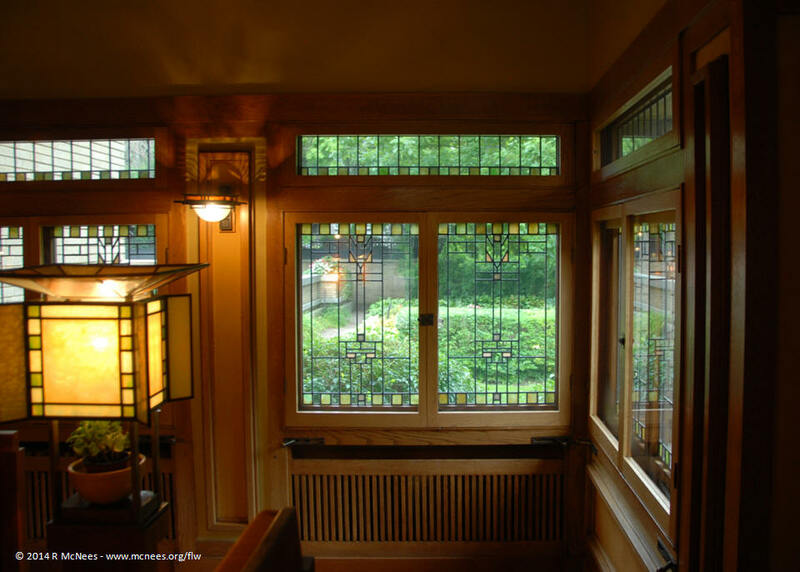 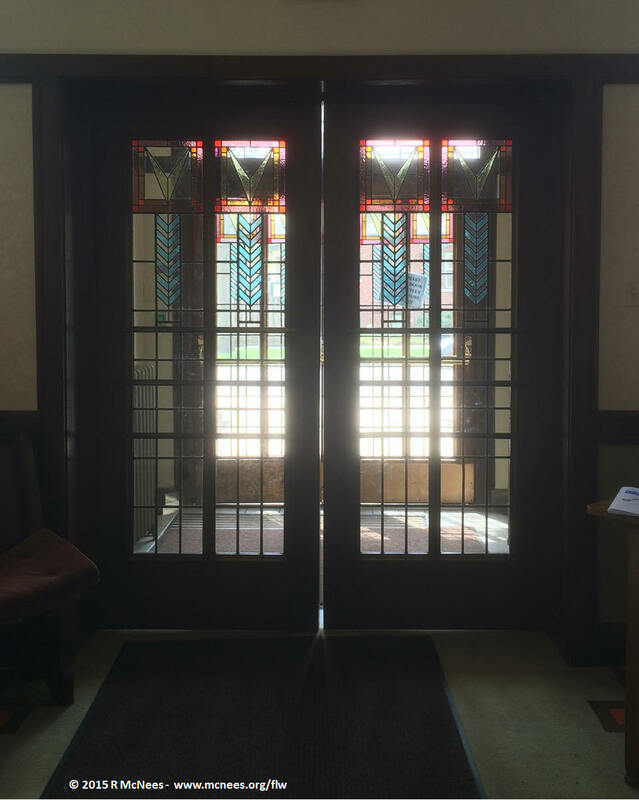 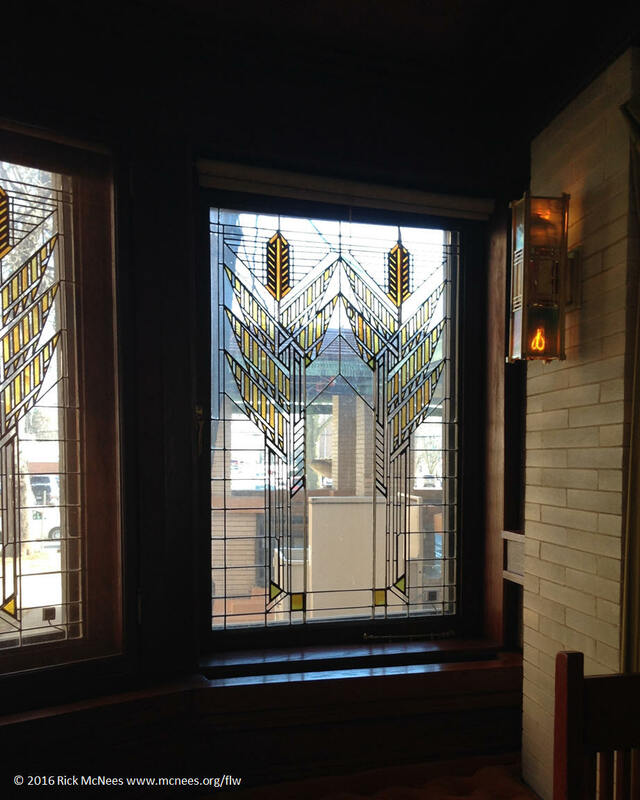 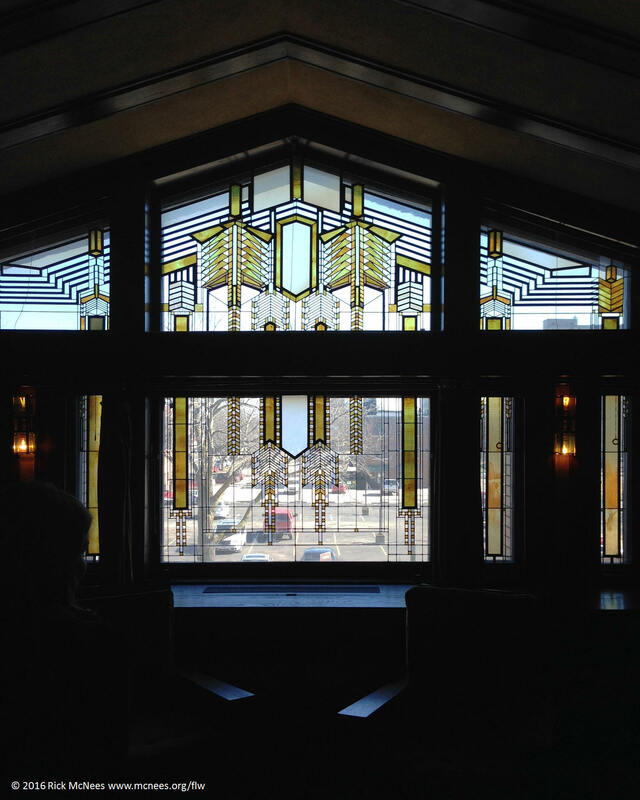 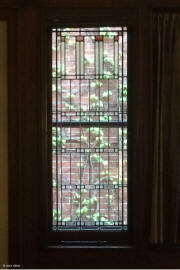 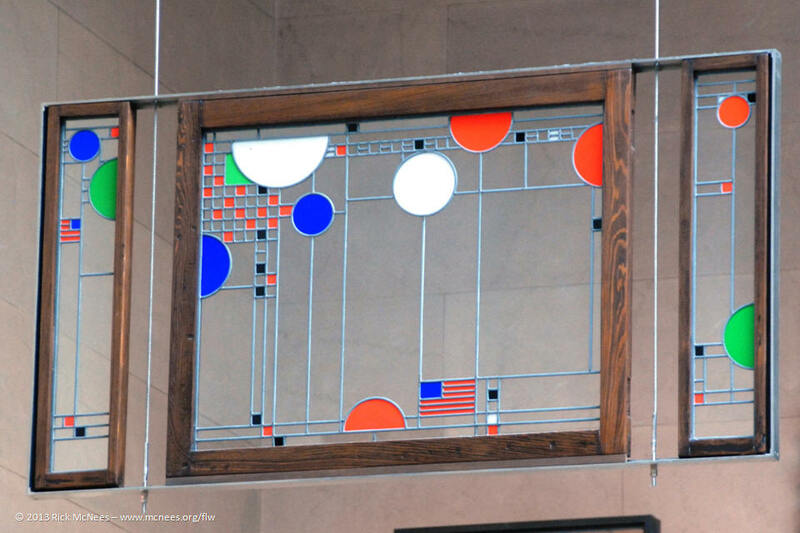 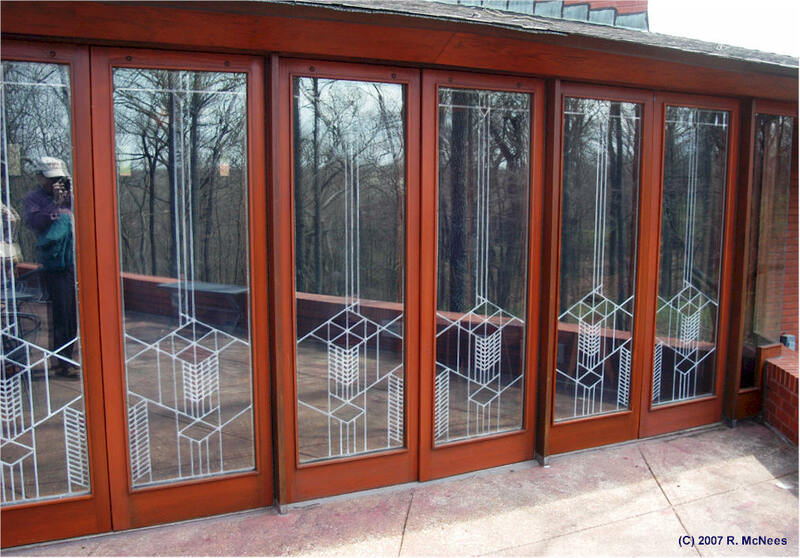 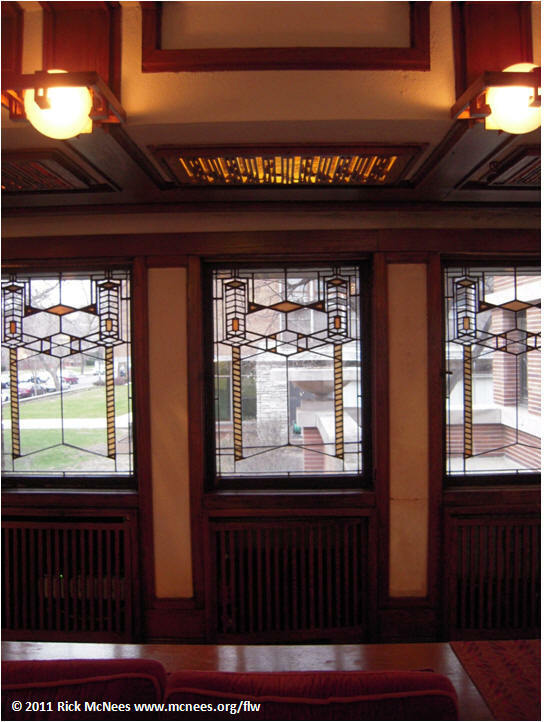 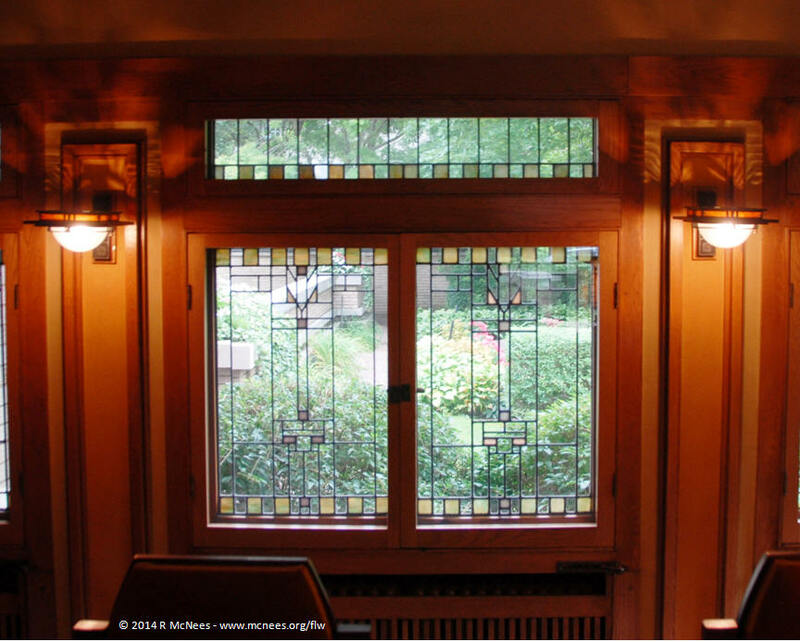 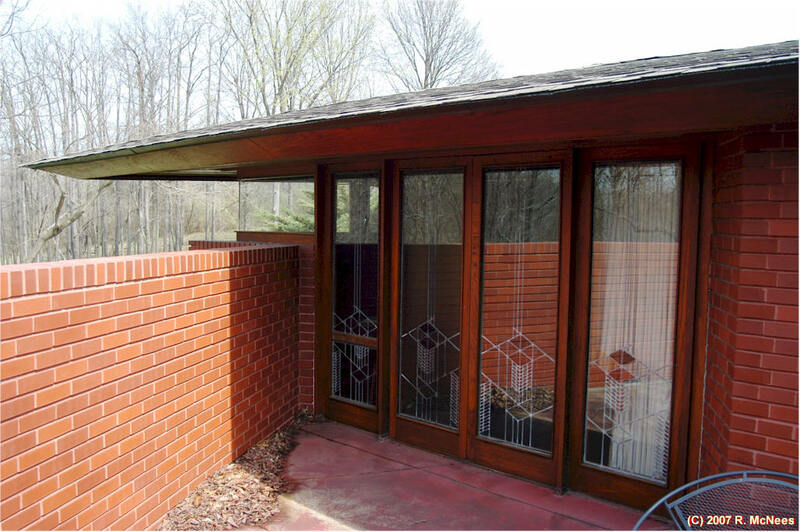 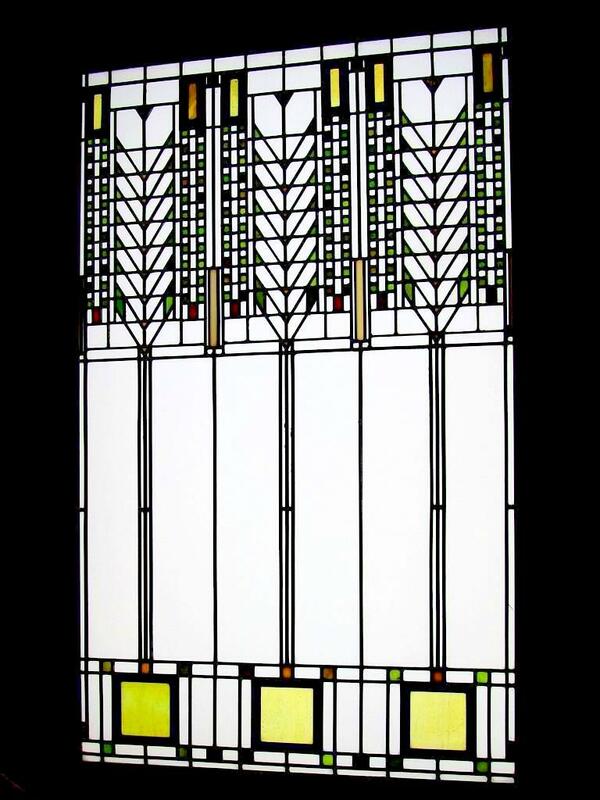 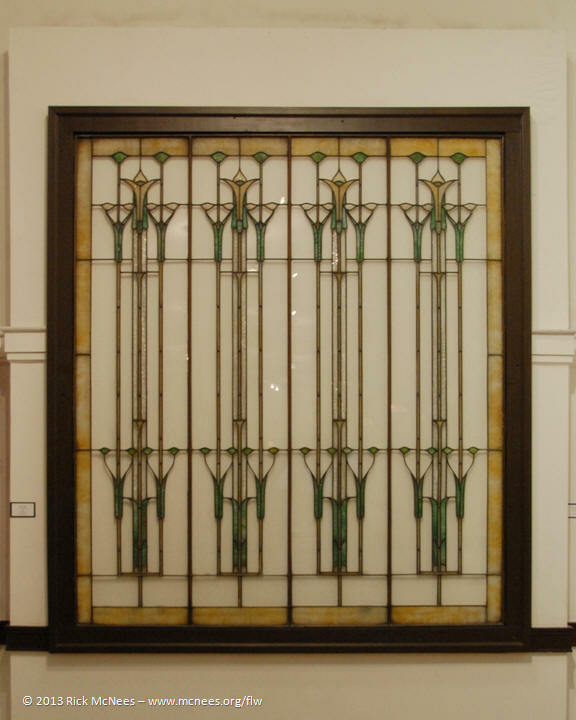 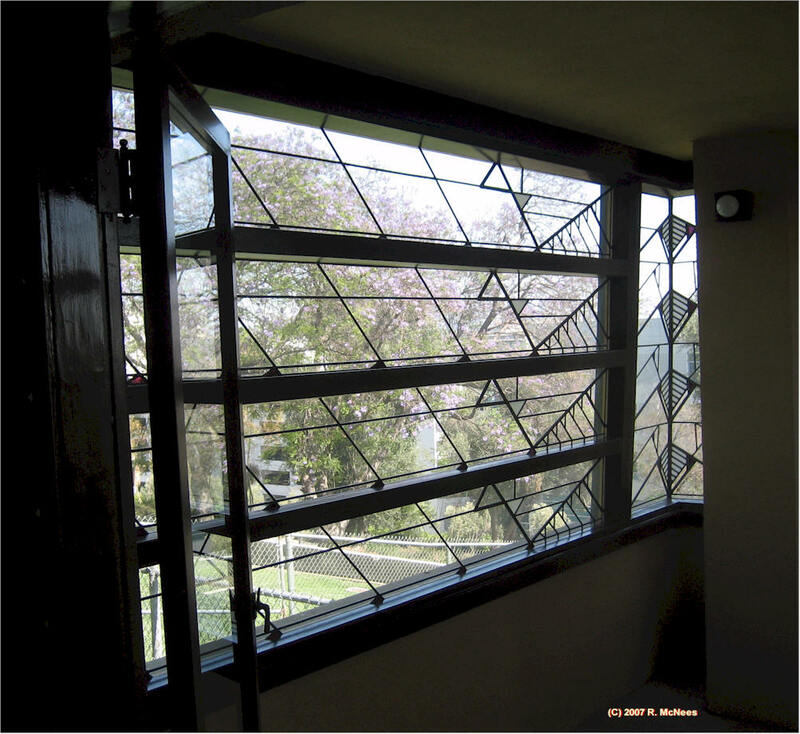 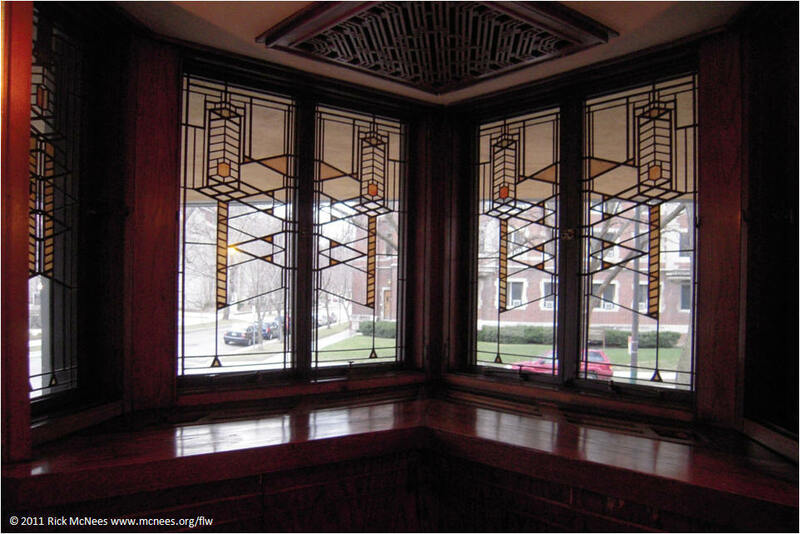 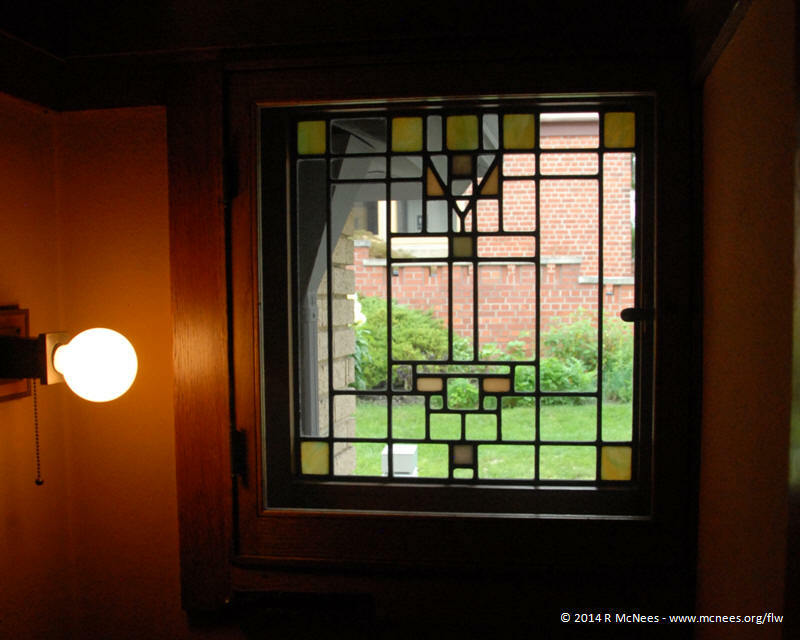 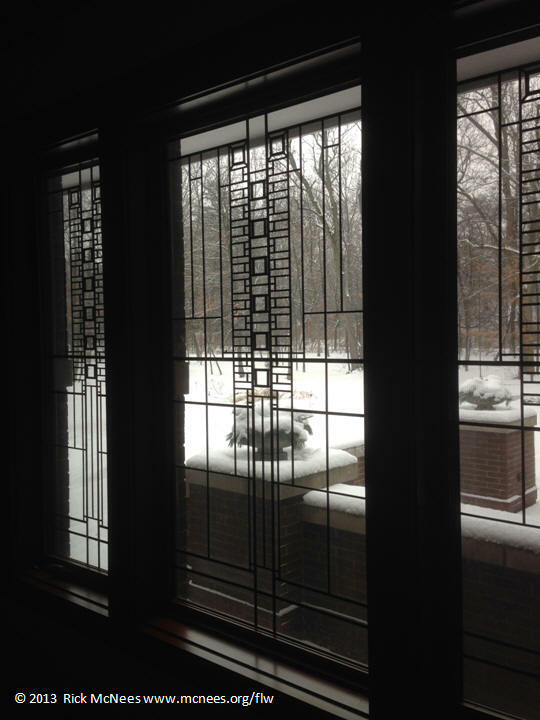 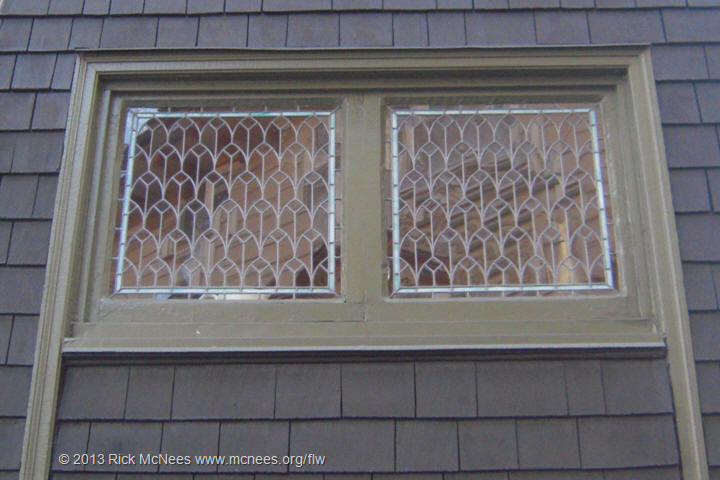 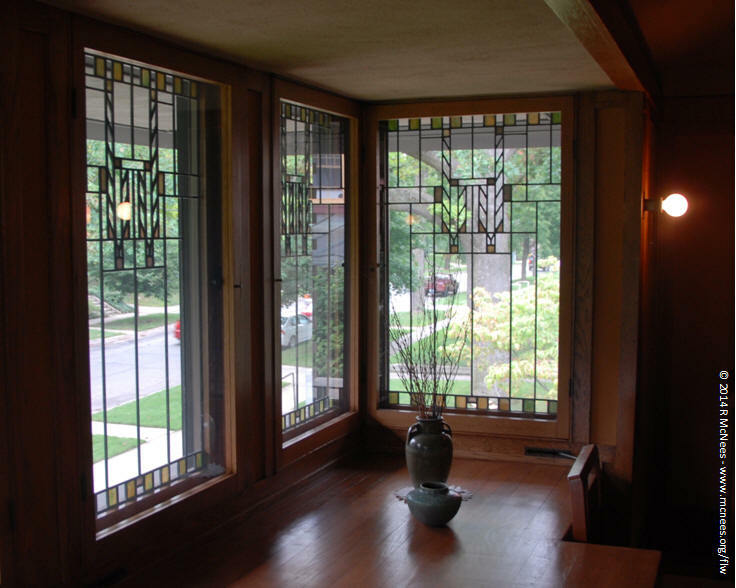 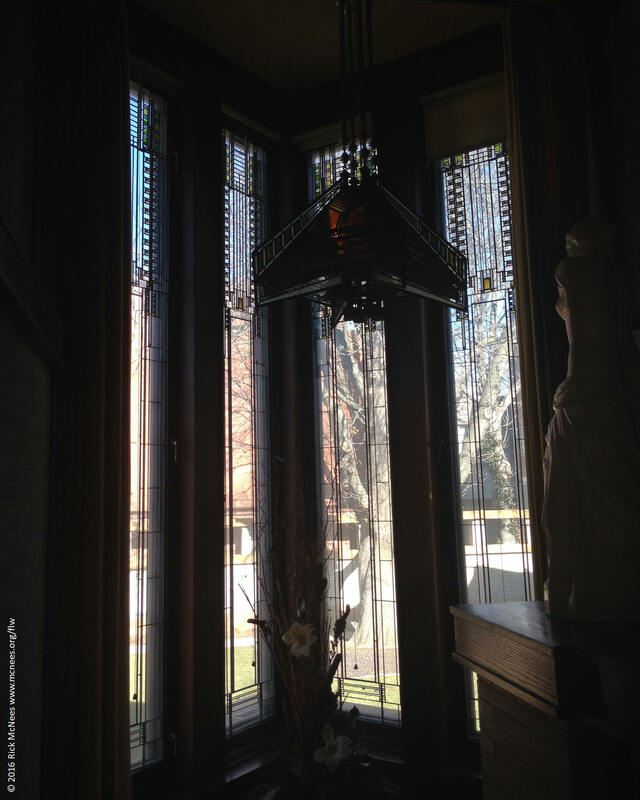 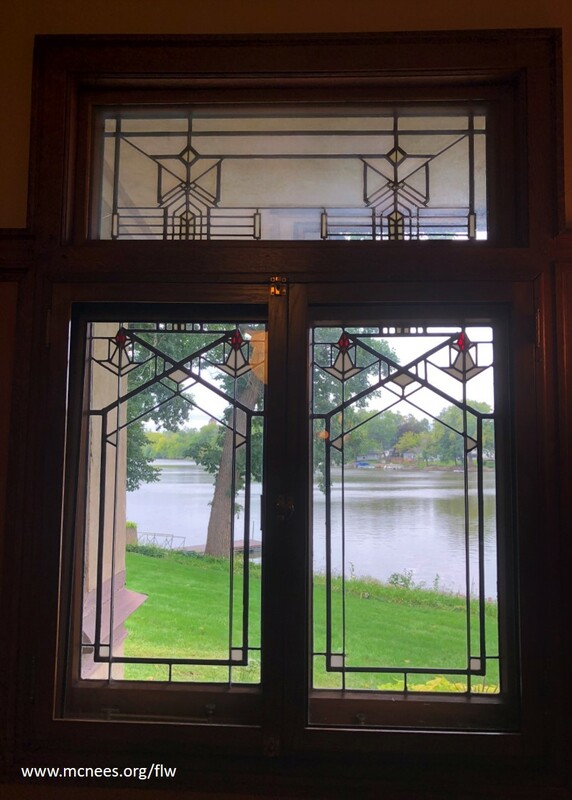 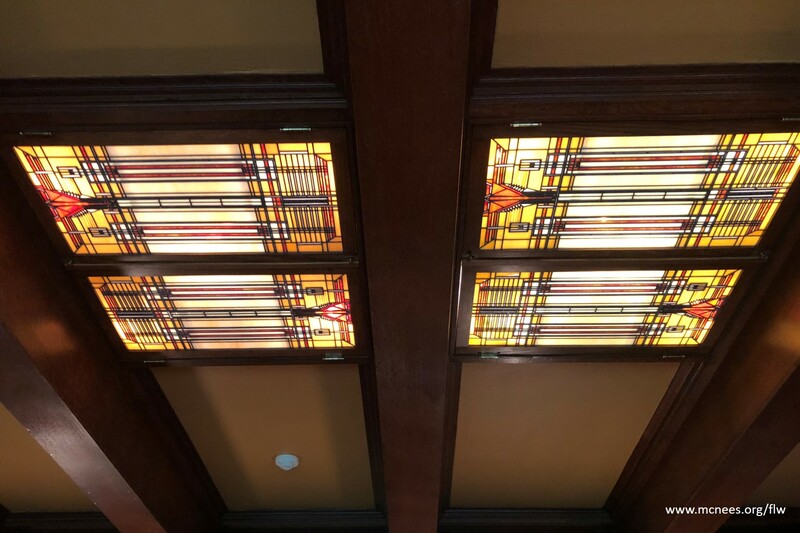 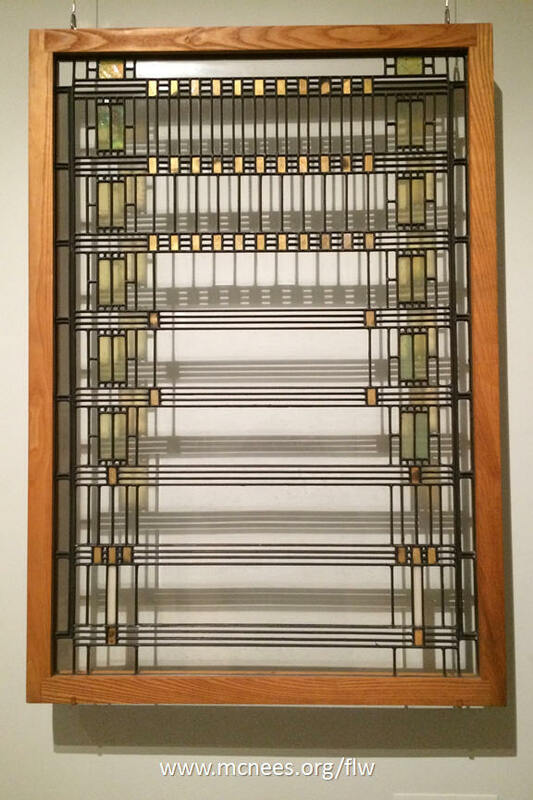 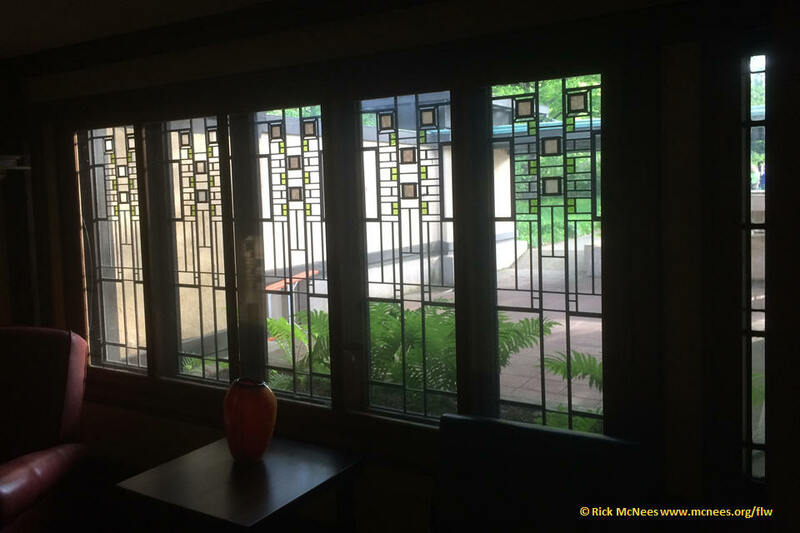 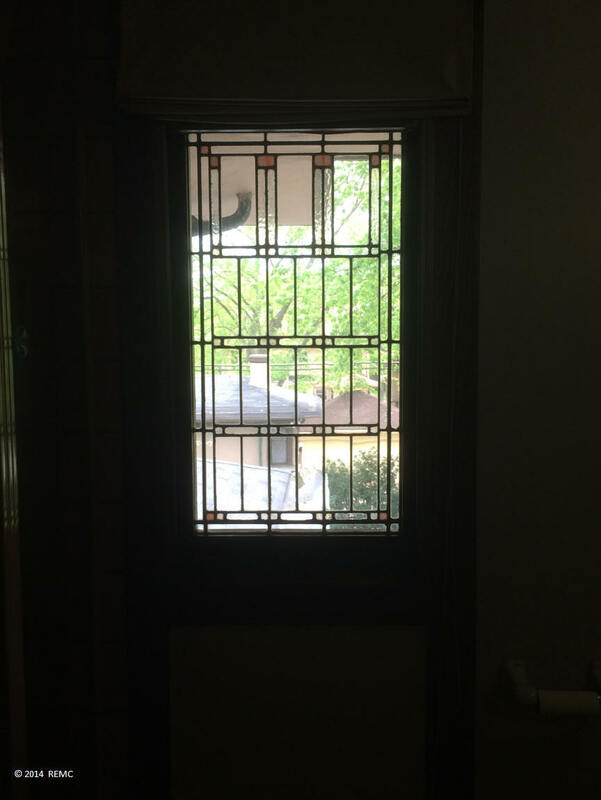 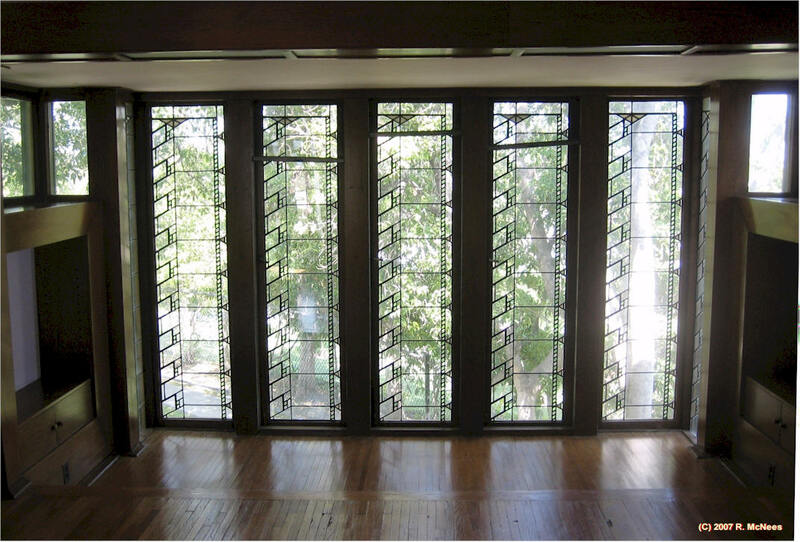 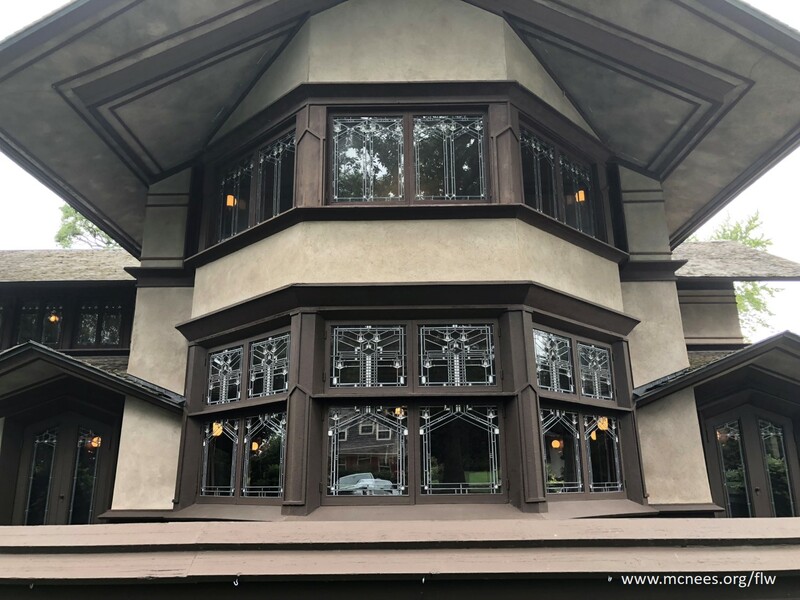 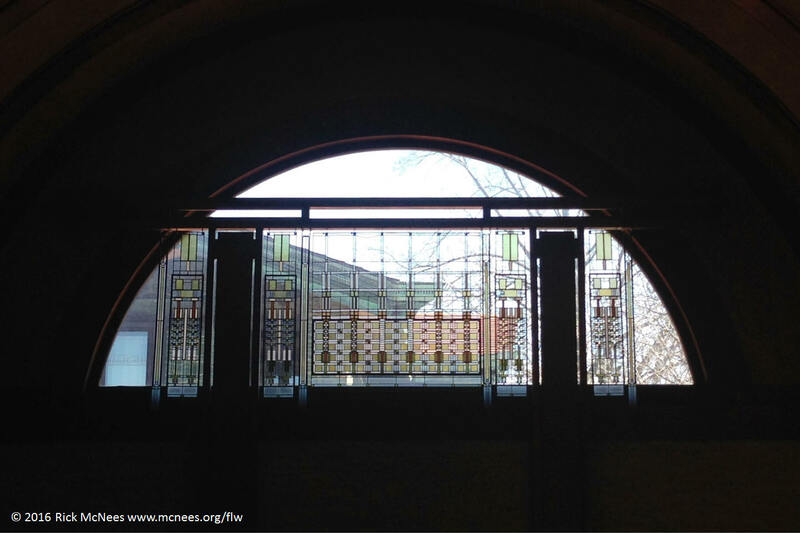 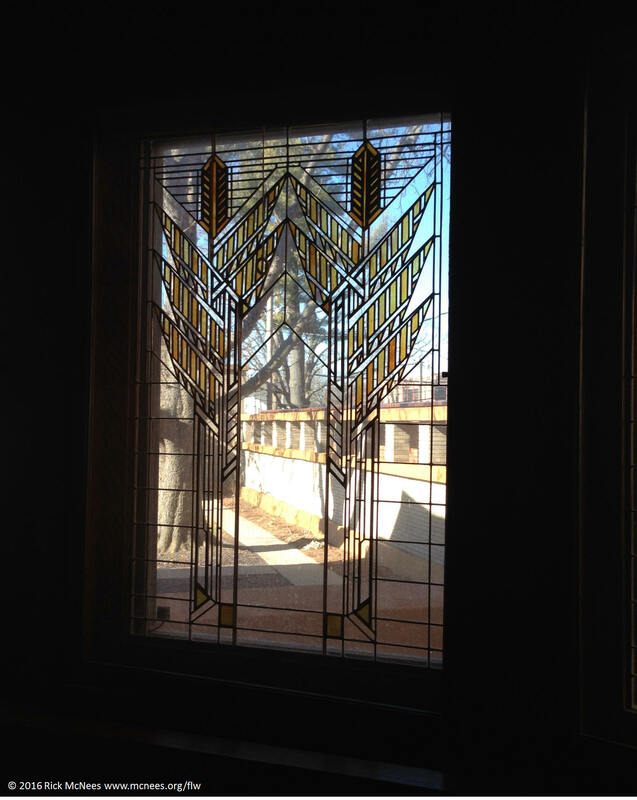 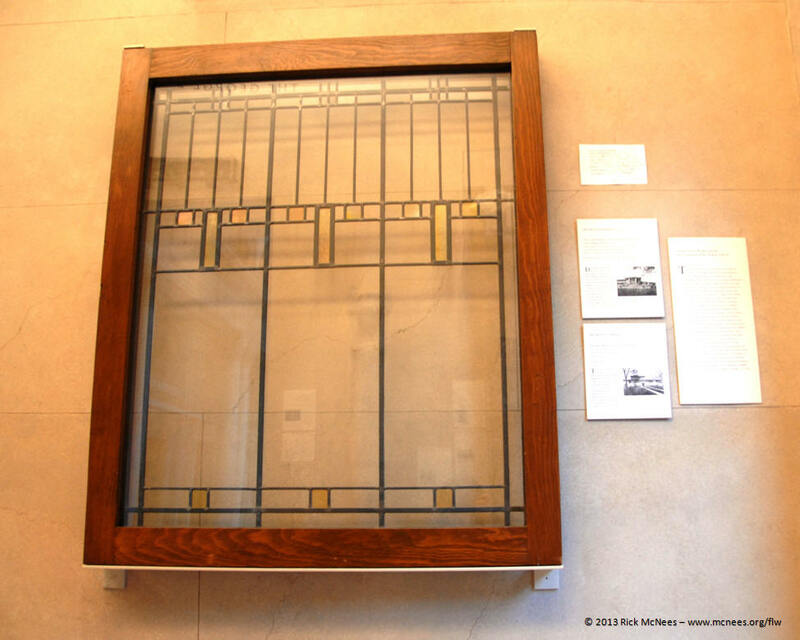 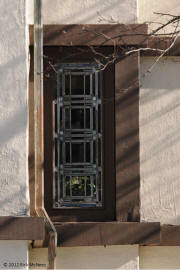 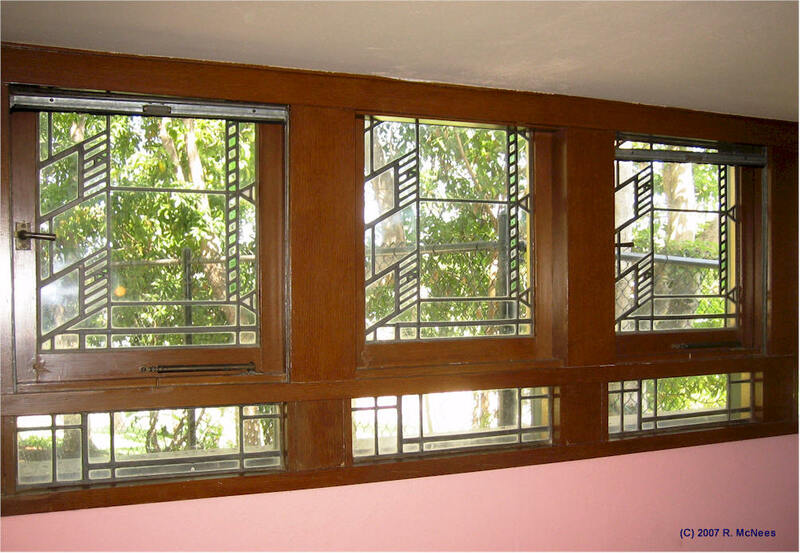 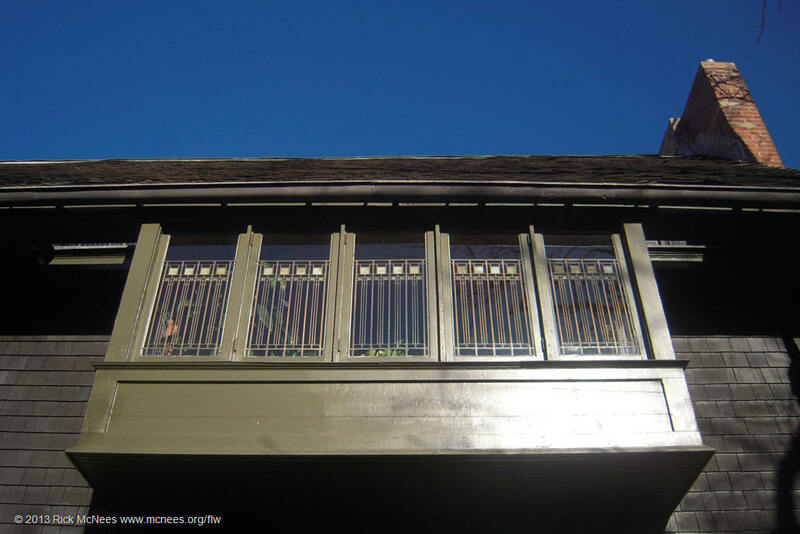 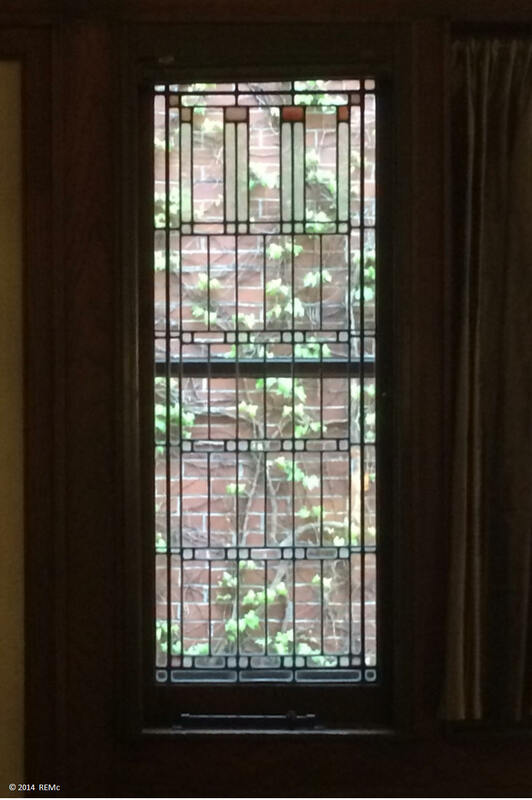 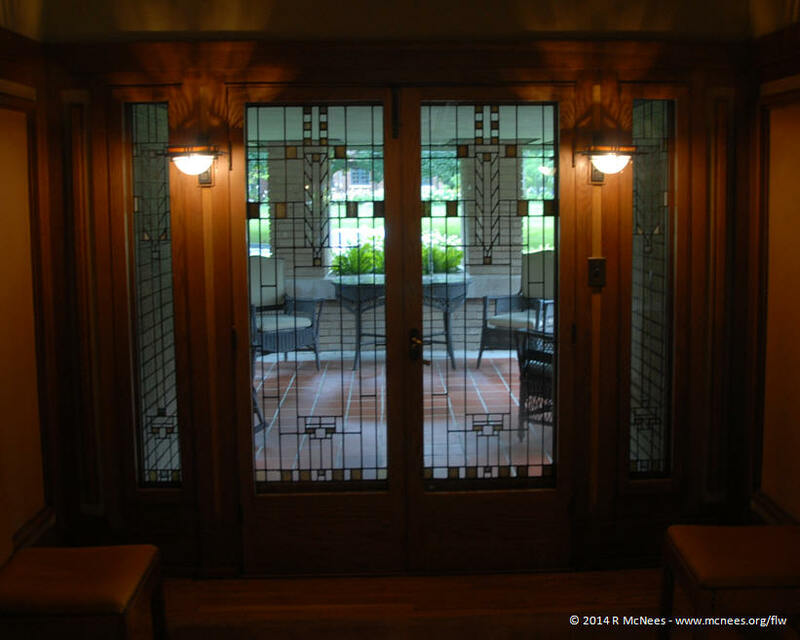 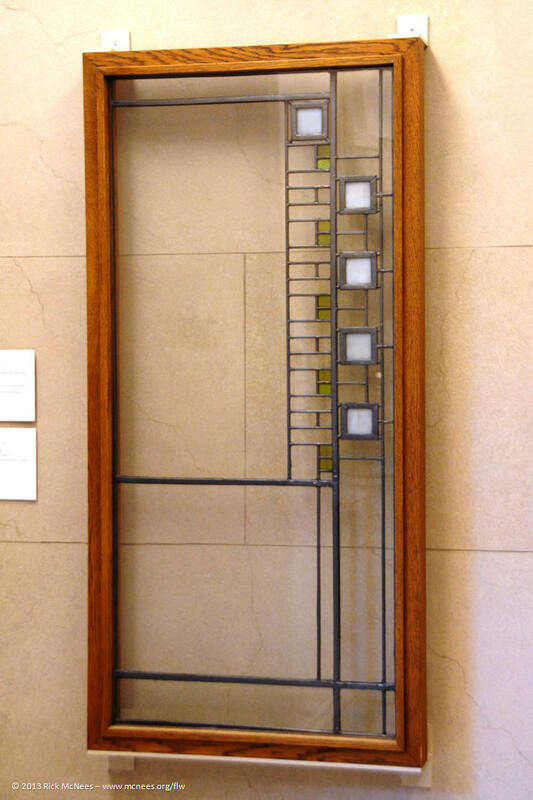 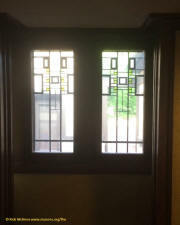 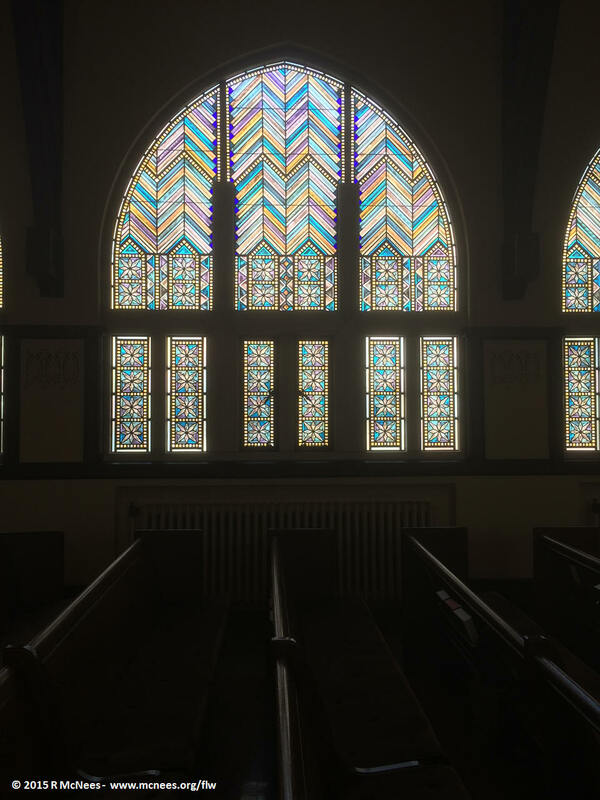 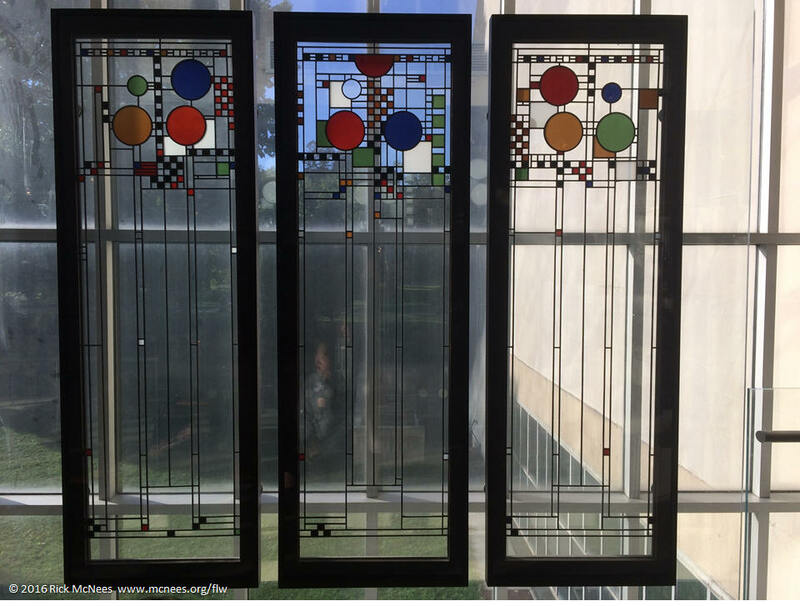 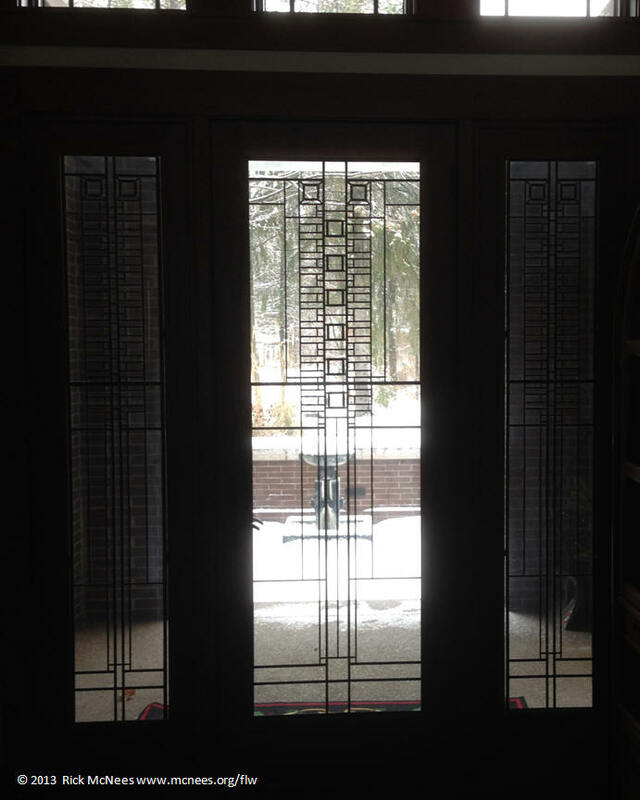 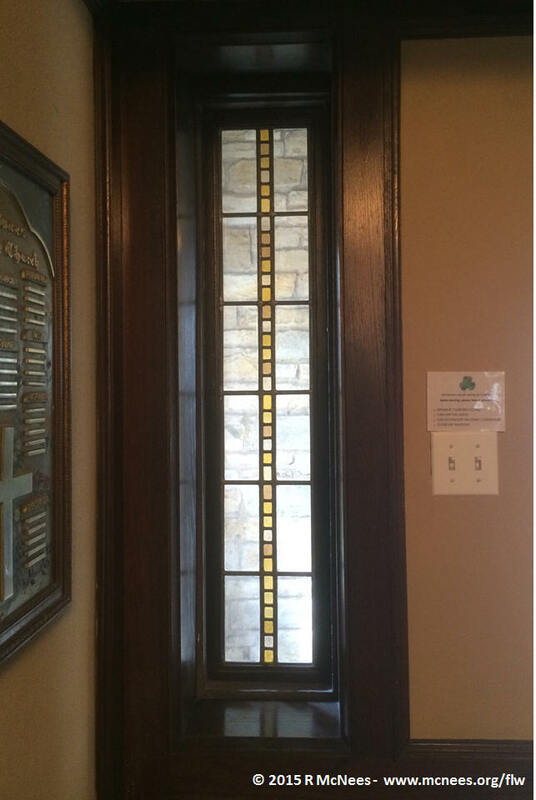 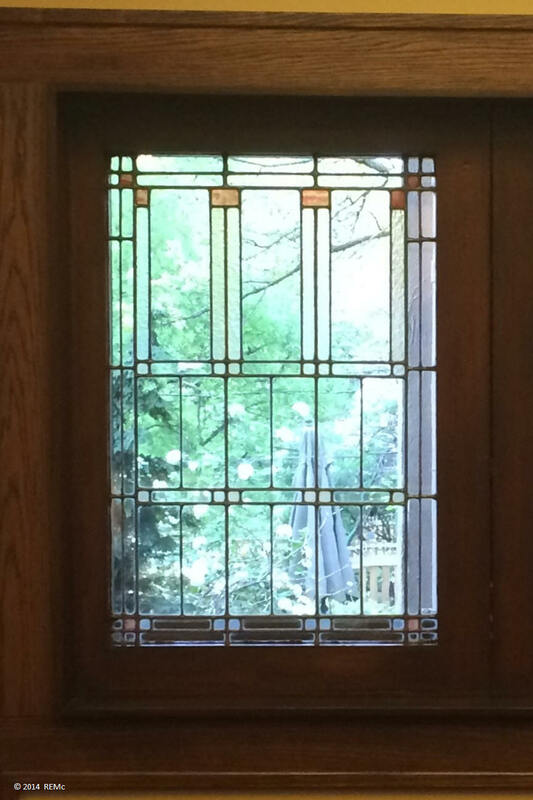 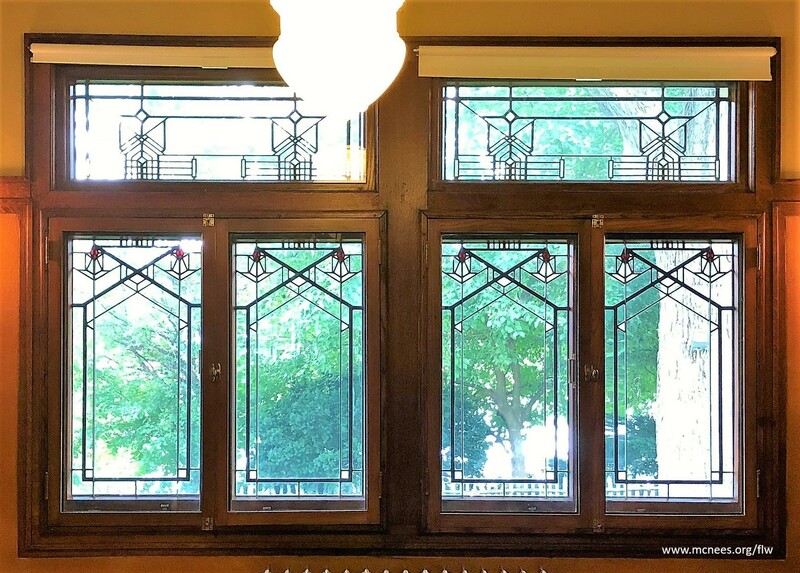 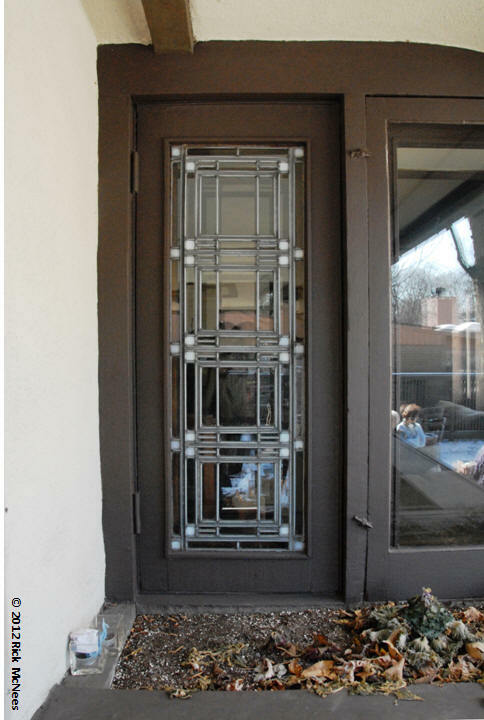 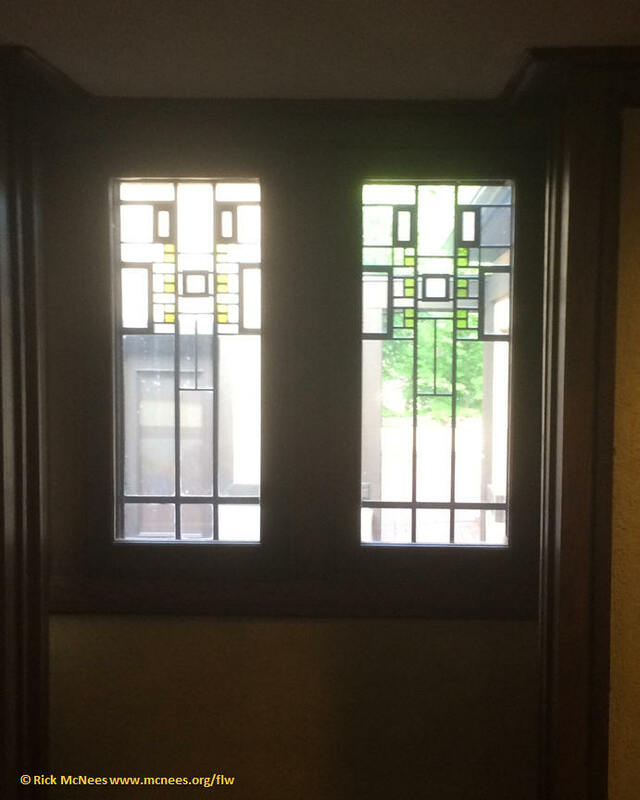 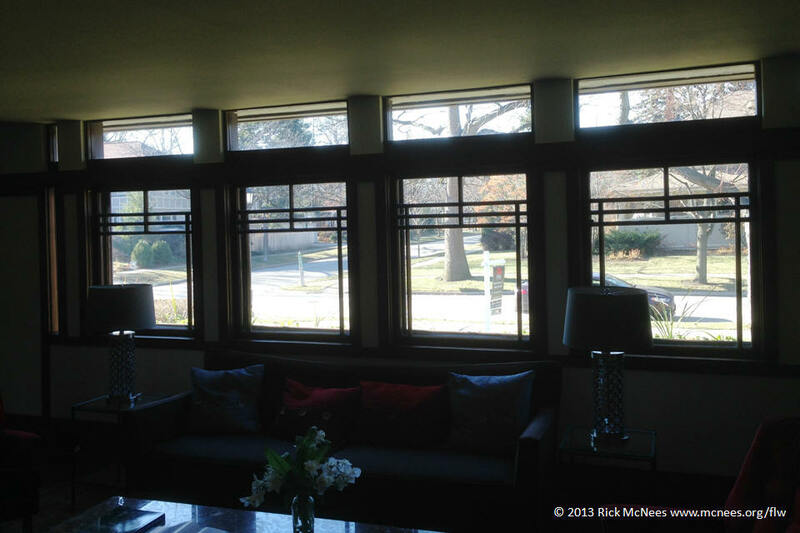 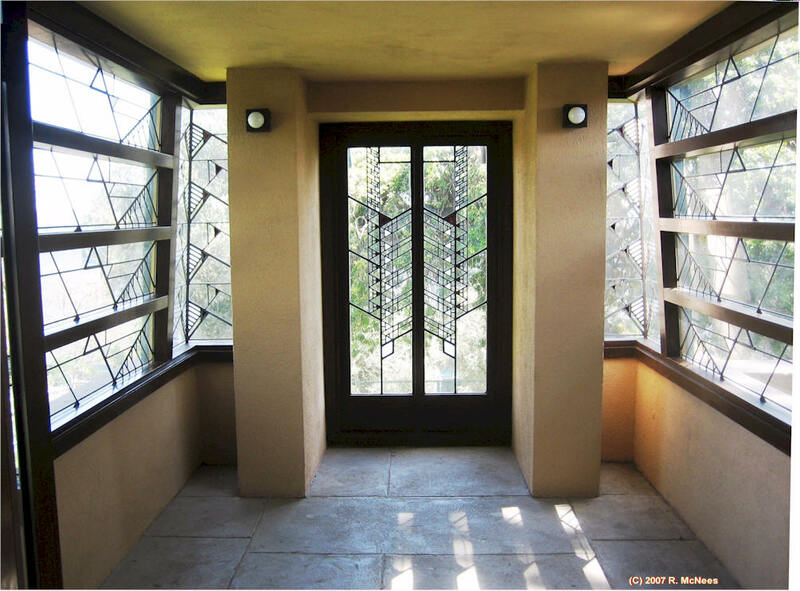 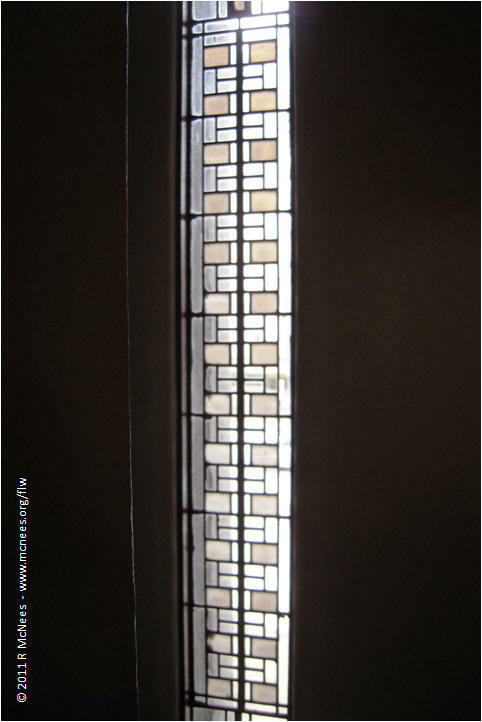 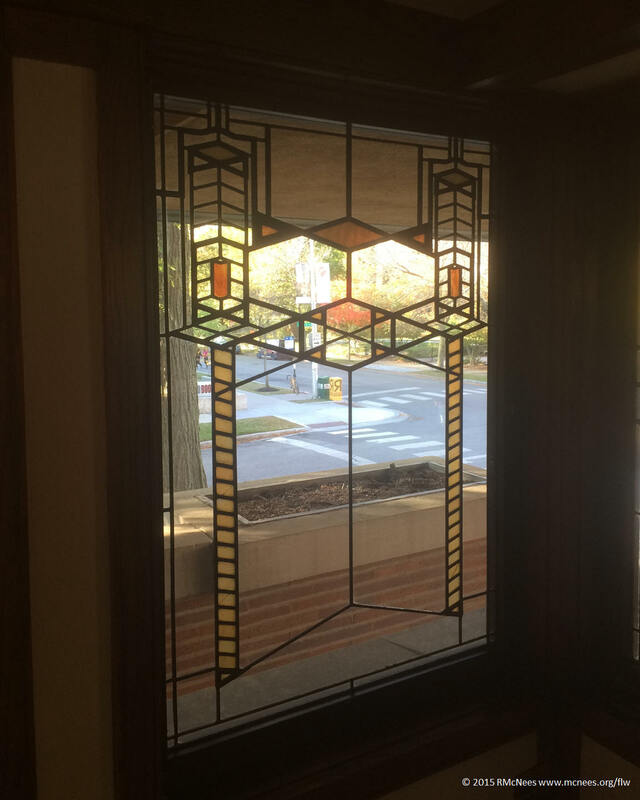 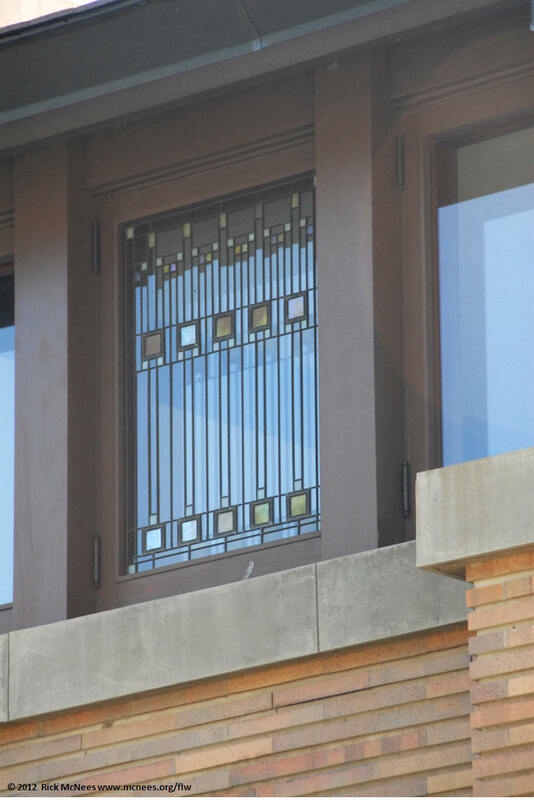 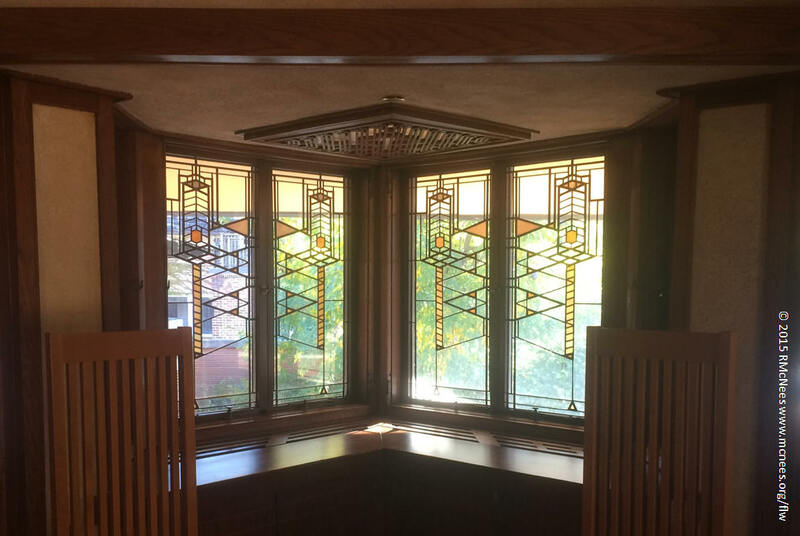 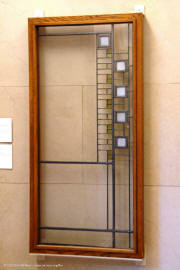 While most know them as "leaded glass" and they were often referred to as "art glass windows", Wright often referred to them as "light screens". 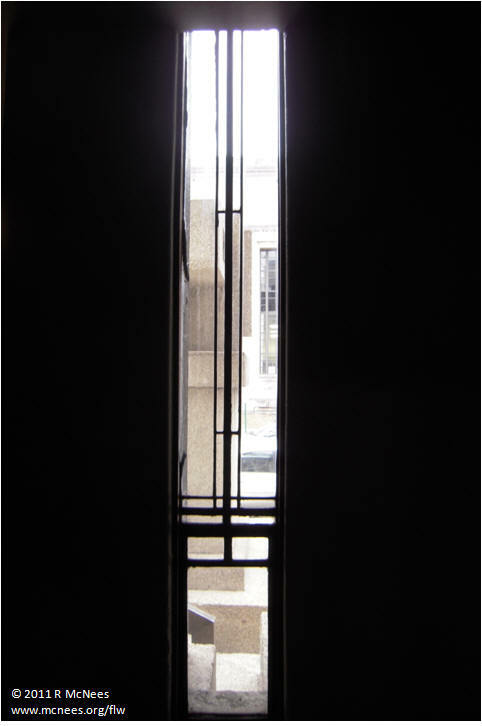 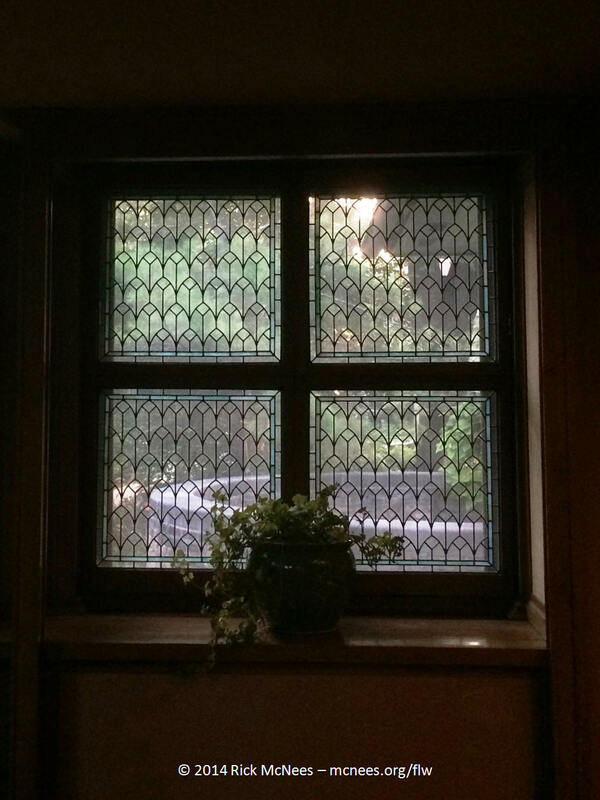 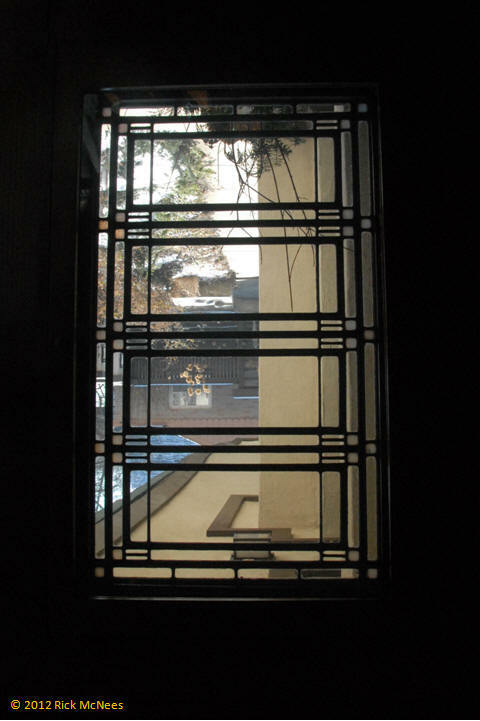 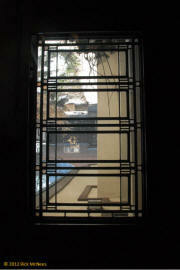 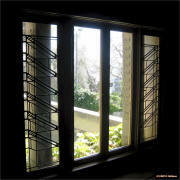 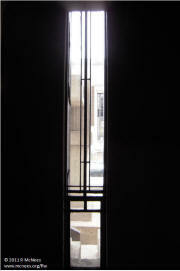 This term has its roots in Japanese shoji screens, which were arranged in bands like his windows. 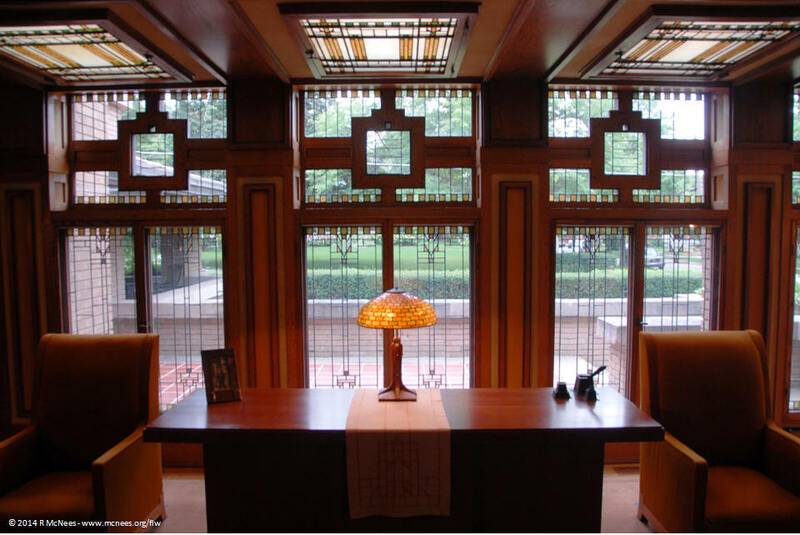 Wright created leaded glass designs for doors, skylights, back-lit ceiling panels, table lamps, and wall sconces as well as for windows. 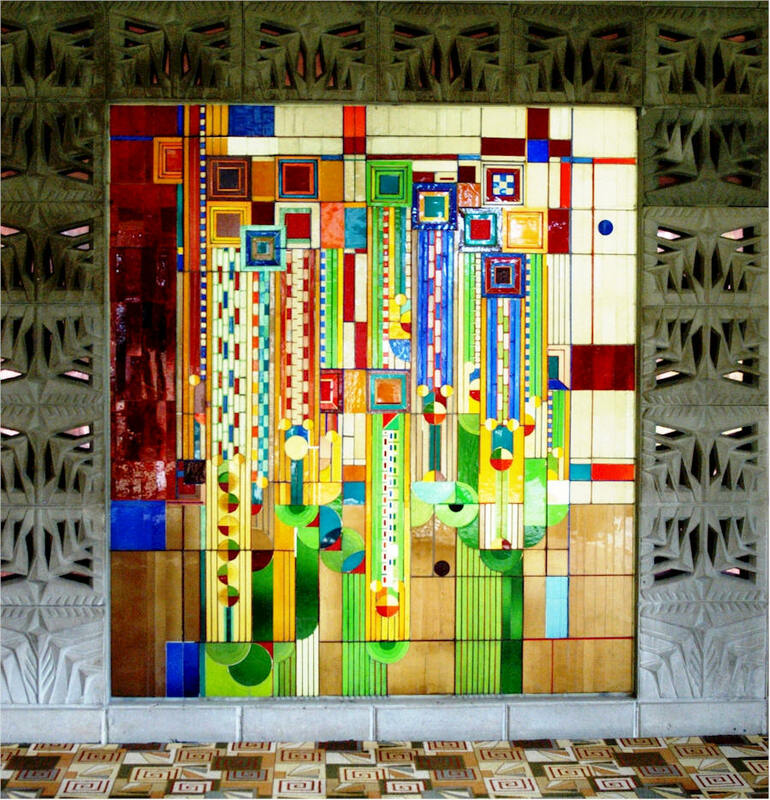 Renowned Saguaro artglass panel by Frank Lloyd Wright at the Arizona Biltmore Hotel, Phoenix, AZ also designed by Frank Lloyd Wright. 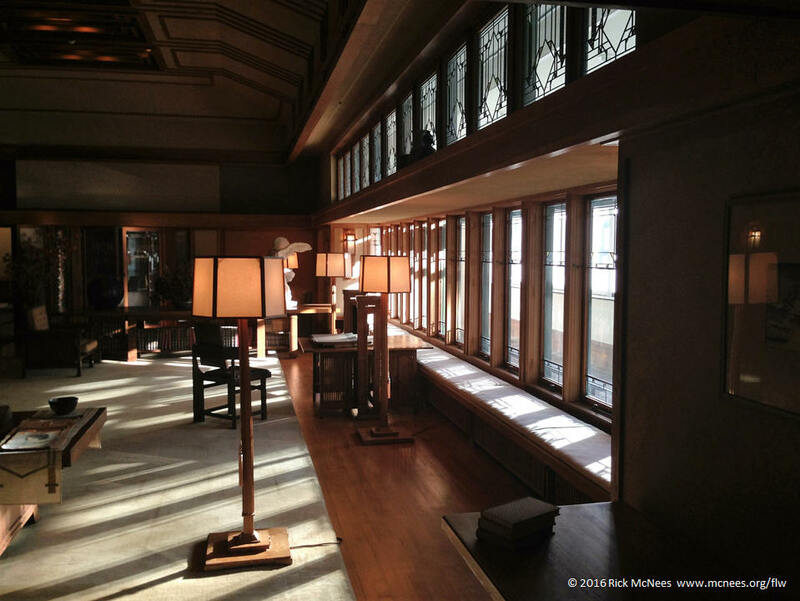 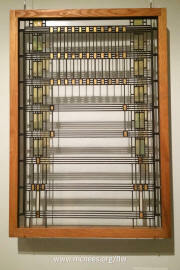 There is also an exhibit of Frank Lloyd Wright art glass at the The Art Institute of Chicago. 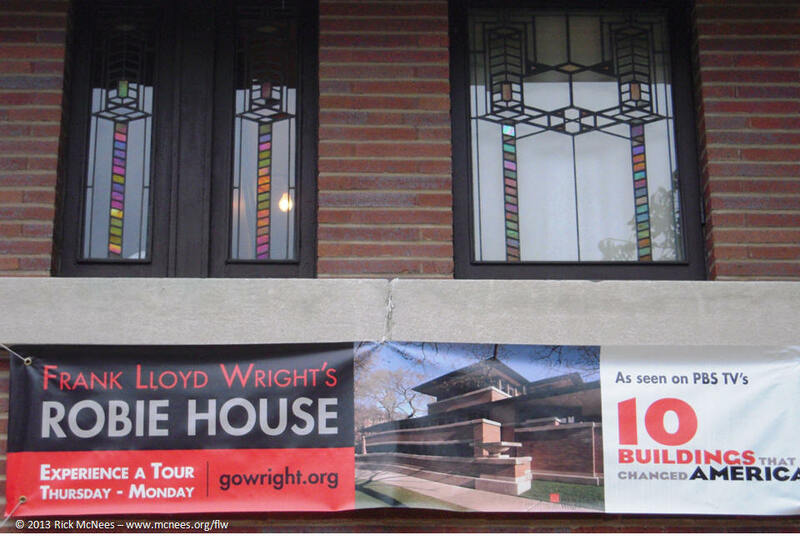 The image featured on our WrightSite home page and shown to the left is used with permission from Robert Cooper. 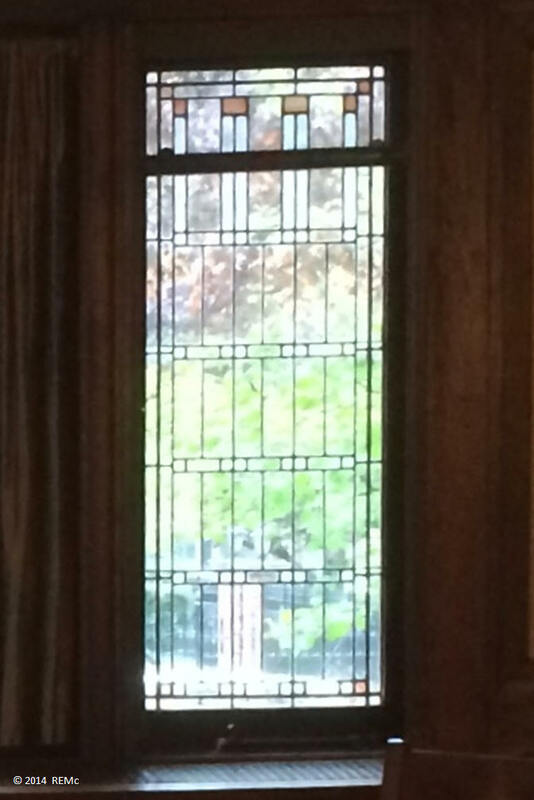 Here is the background on this panel according to Robert. 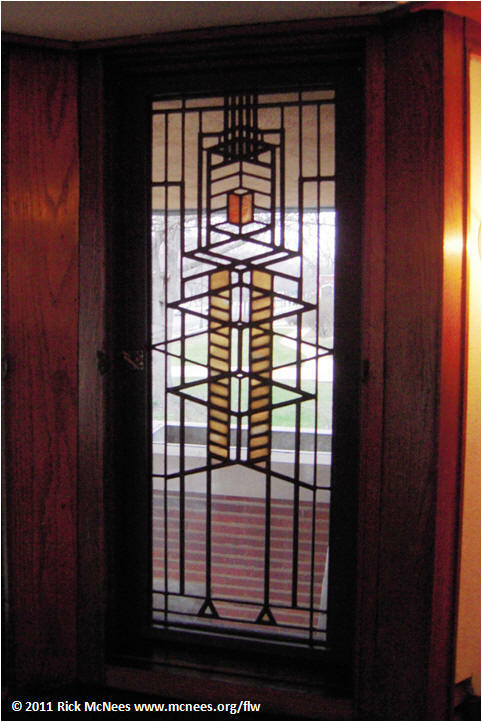 "The small tree of life panel on your site was inspired by the abstract design of a magnolia in blossom, a motif used in the W. A. Glasner house in Glencoe, Illinois (Frank Lloyd Wright - 1905). 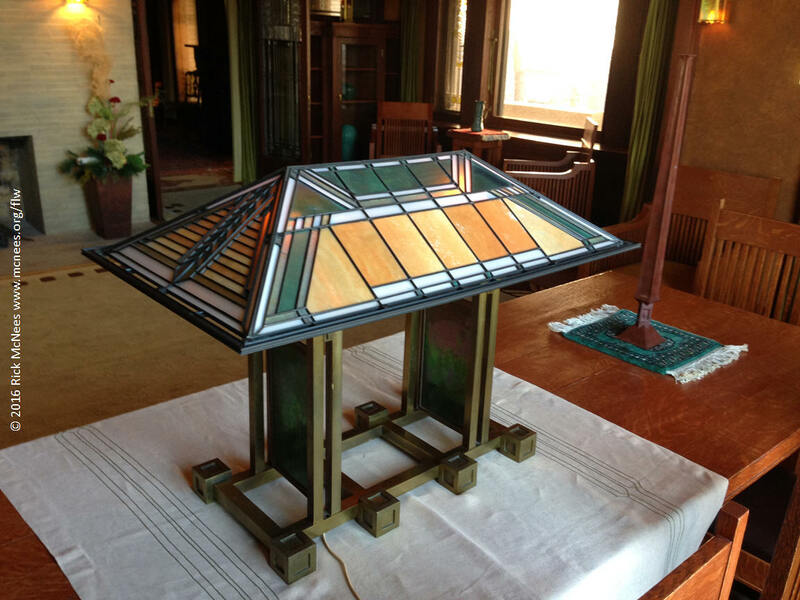 We began selling it at the Frank Lloyd Wright Home & Studio in Oak Park, Illinois well over 25 years ago. 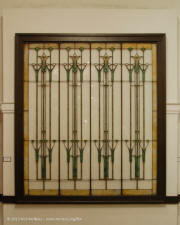 It's been sold at over 20 major museum stores nationally. 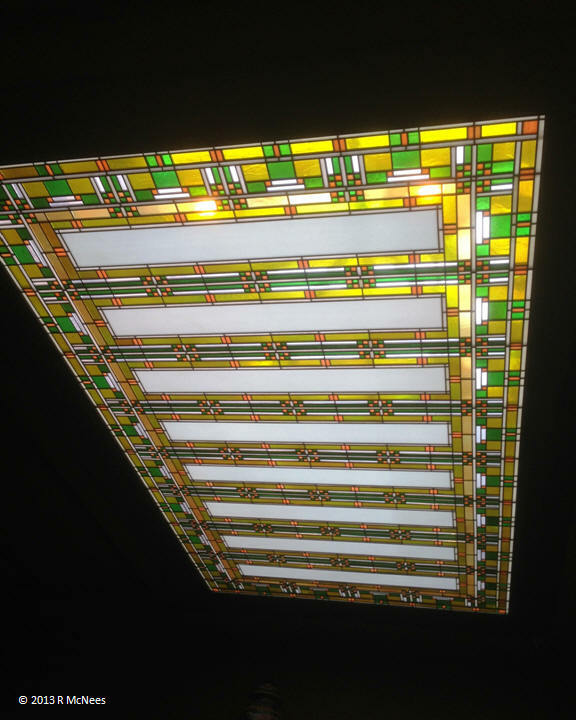 It's been available in several colors and sizes up to 12"X42", which was close to an exact copy." 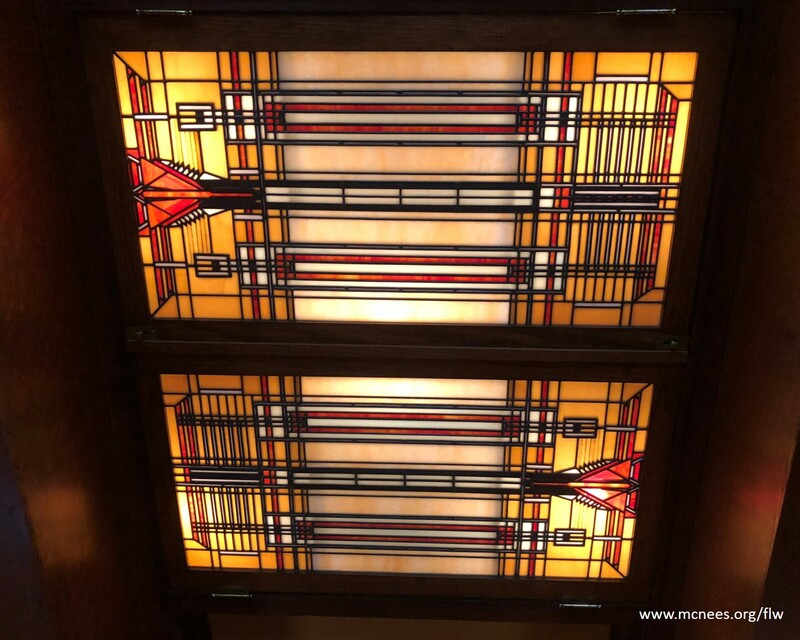 Born and raised in Chicago, Bob lived in Palos Heights, IL for 17 years while raising a family, restoring the Frank Lloyd Wright Home & Studio, and doing the restoration of the Ryerson Architectural Library ceiling in the The Art Institute of Chicago� and their art glass collection. 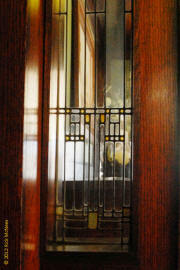 My selections from this collection can be seen on their website here. Cooper moved to Florida 16 years ago. 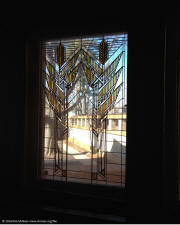 He still supplies art glass to every Wright site that has a store and gives tours. 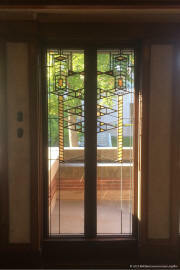 He's worked from home full time for over 30 years doing glass work. 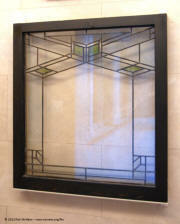 More on Robert Cooper and the actual panels which are available can be see on Robert Cooper's ArtGlass Site at http://www.cooperartglass.com/. 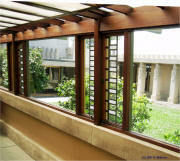 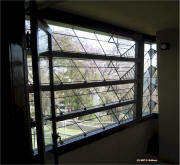 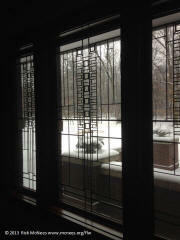 Other Frank Lloyd Wright light screens. 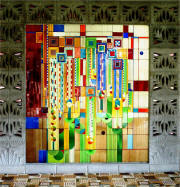 Perhaps the most spectacular collection of FLW artglass. 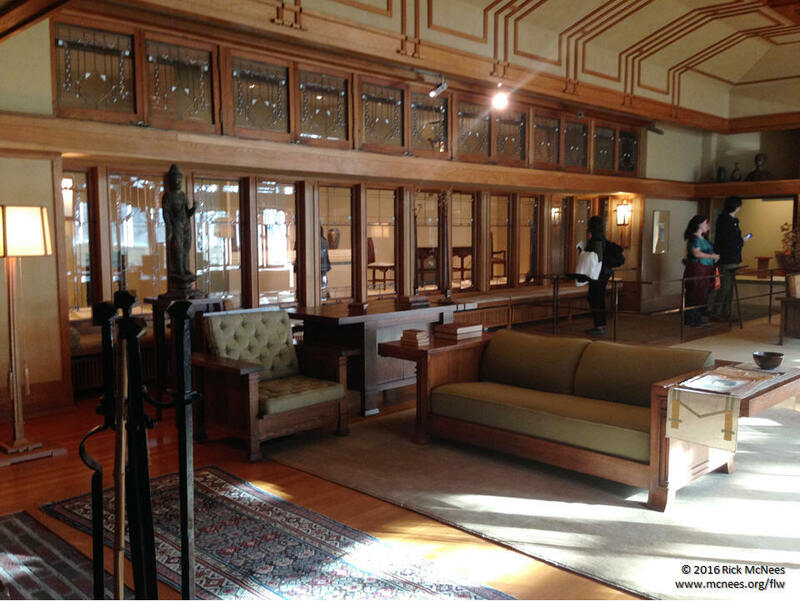 Reconstruction of the Francis Little summer home living room from Wayzata, MN. 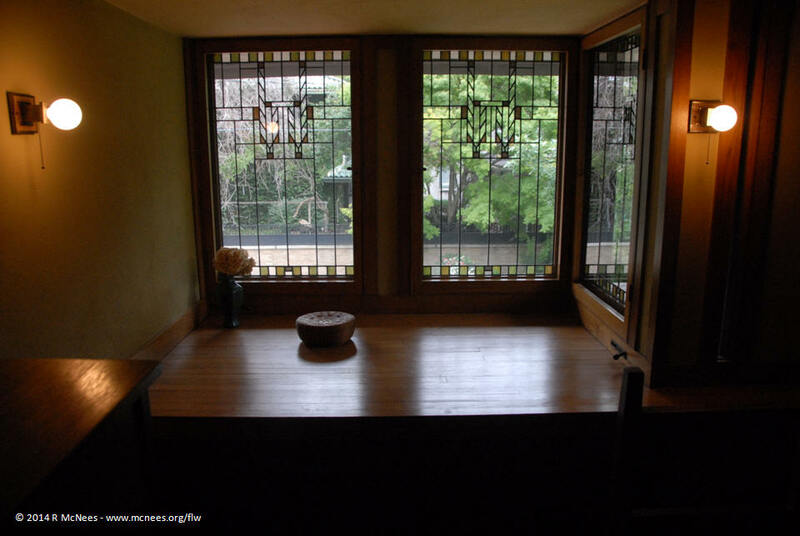 Designed by Frank Lloyd Wright and built by Marion Mahony and Hermann von Holst who worked for Wright. 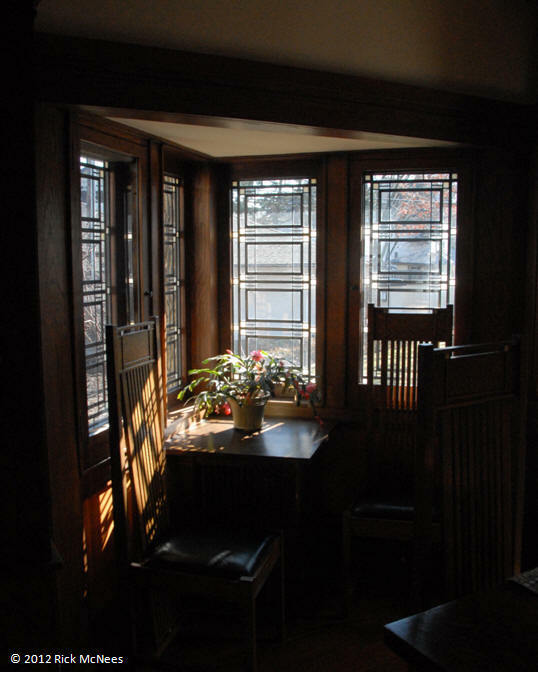 The house is now called the Charnley�Persky House and is operated as a Museum by The Society of Architectural Historians. 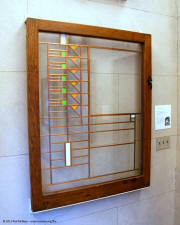 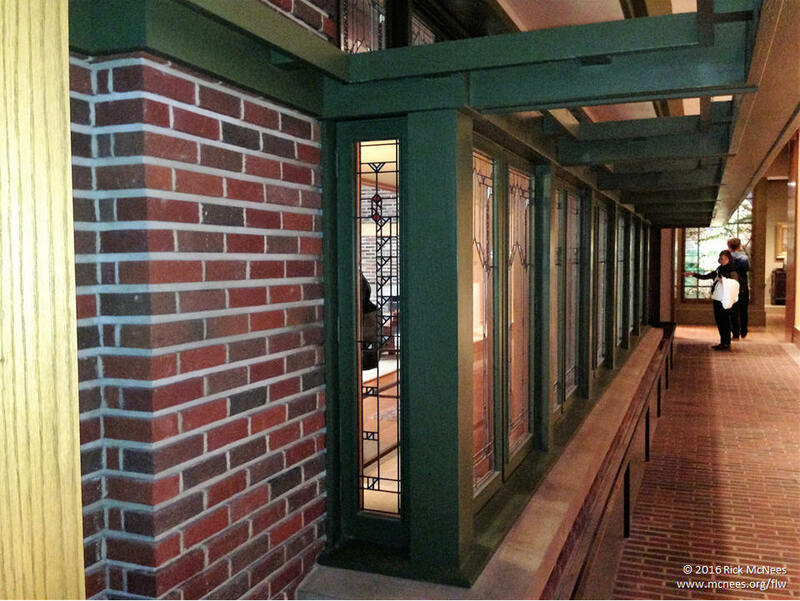 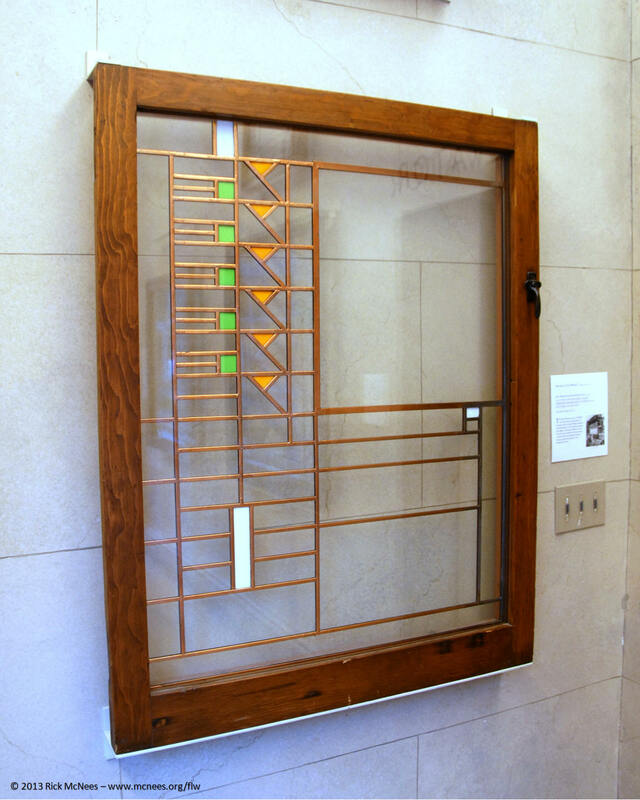 The Frank Lloyd Wright Windows display is on the second floor in the elevator lobby. 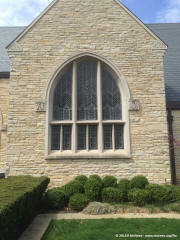 In 1929, the congregation moved into the building and sanctuary where they presently hold services. 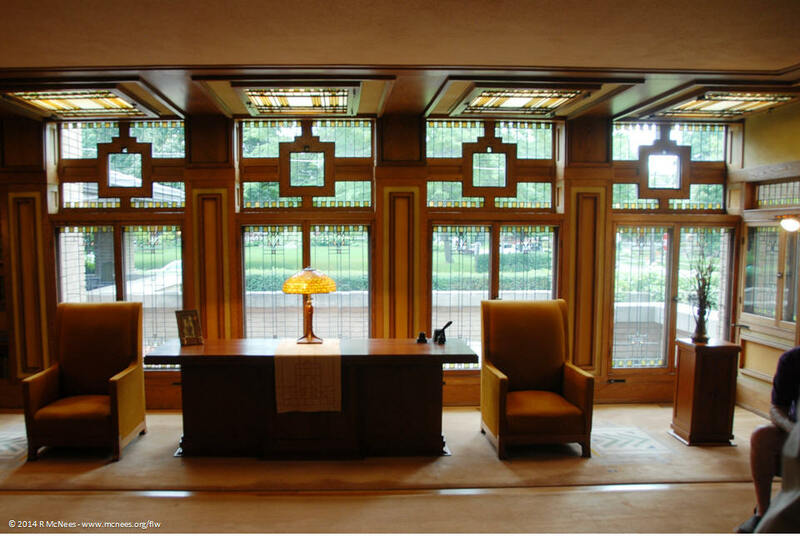 The building was designed by G. Grant Elmslie, a Prairie School architect and highly regarded associate of the renowned Louis Sullivan. 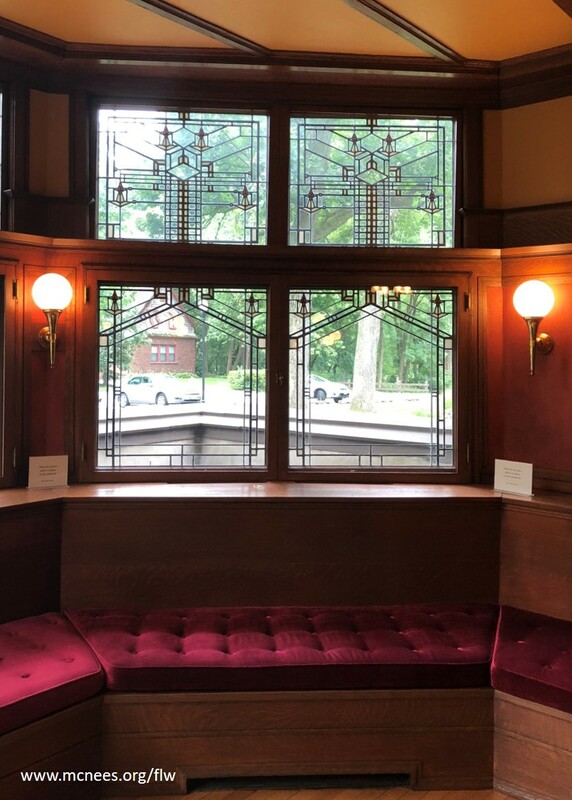 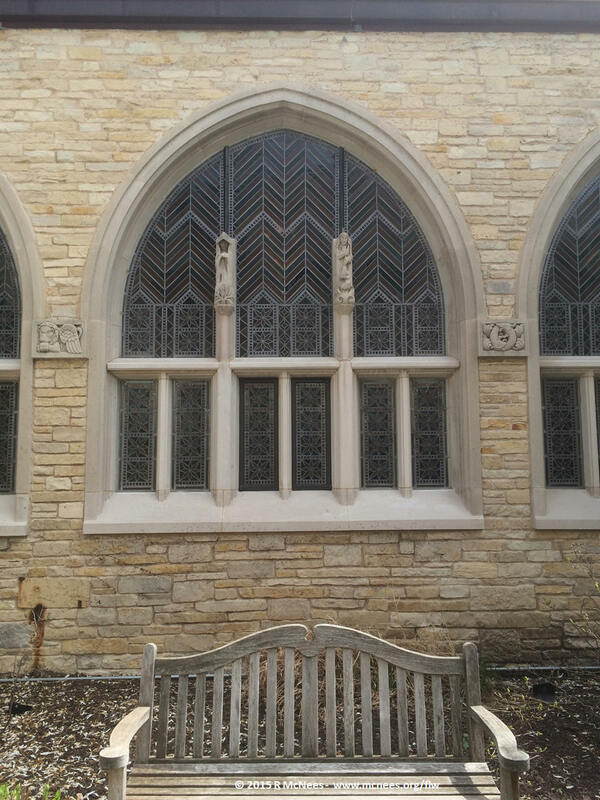 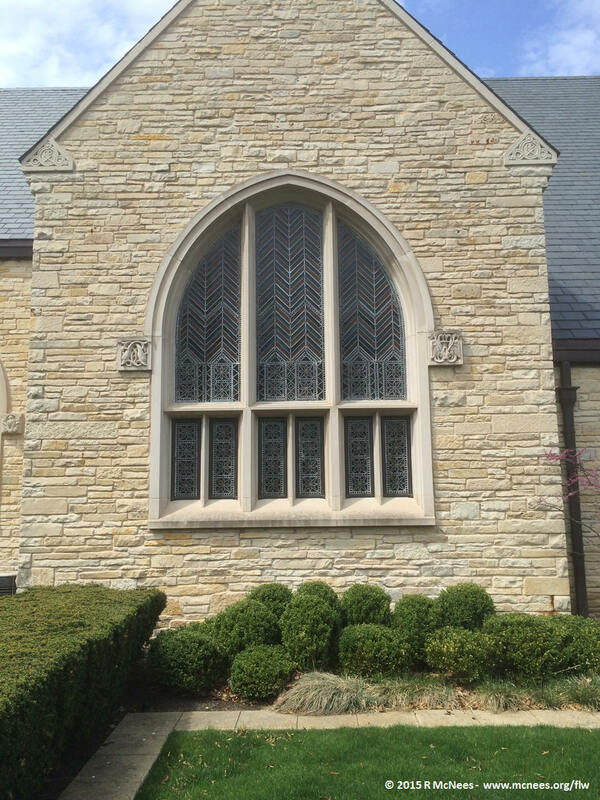 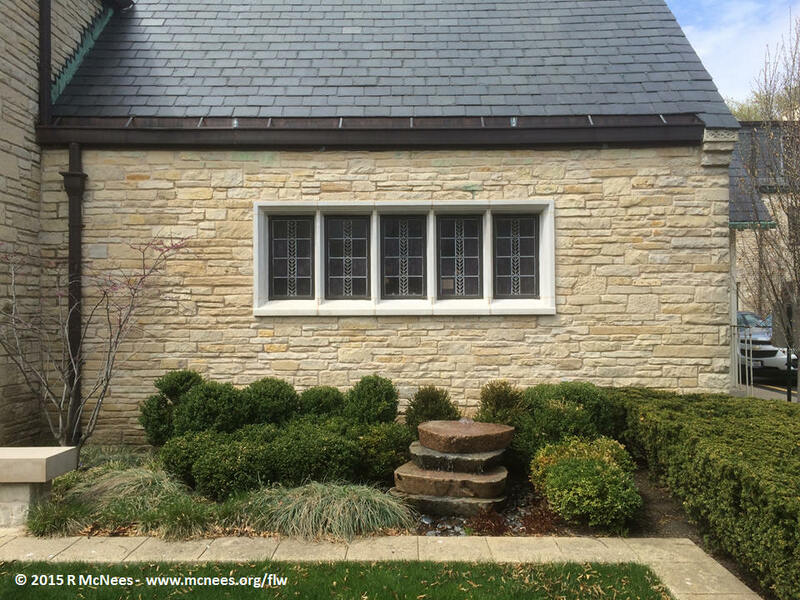 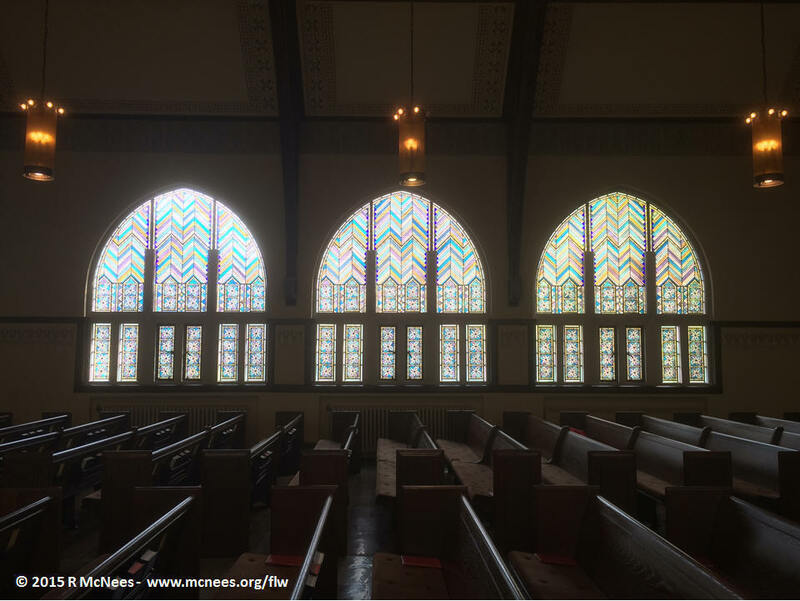 Today, the stain glass windows, as well as elegant woodwork patterns and detailed stonework on the building�s edifice are prime examples of Elmslie�s talents and works. 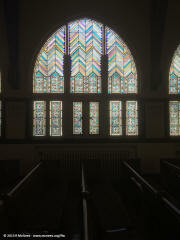 This page lasted updated 12/27/18 .